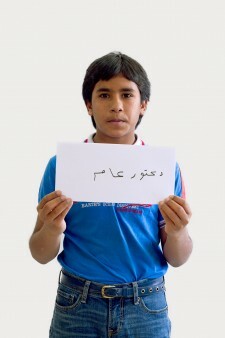 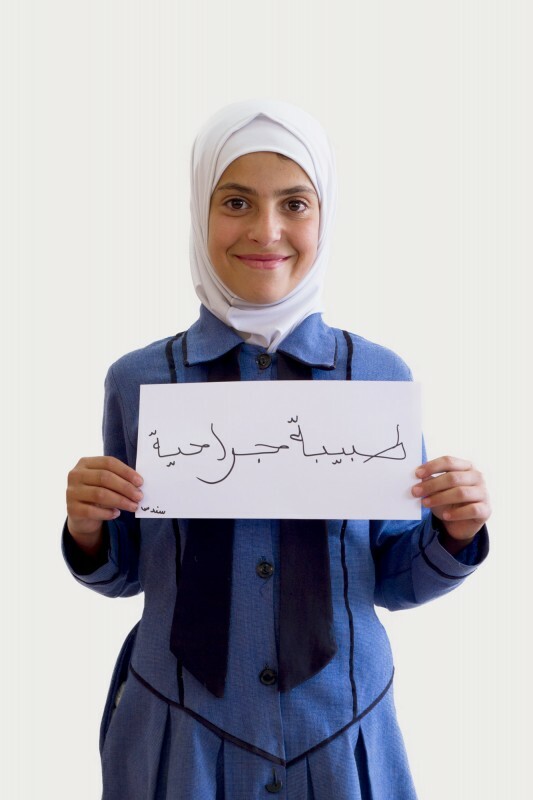 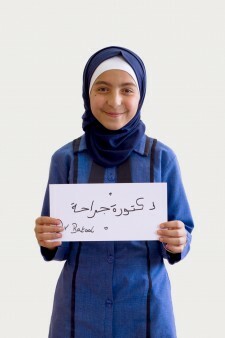 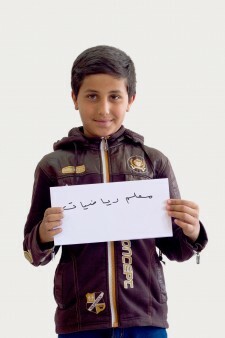 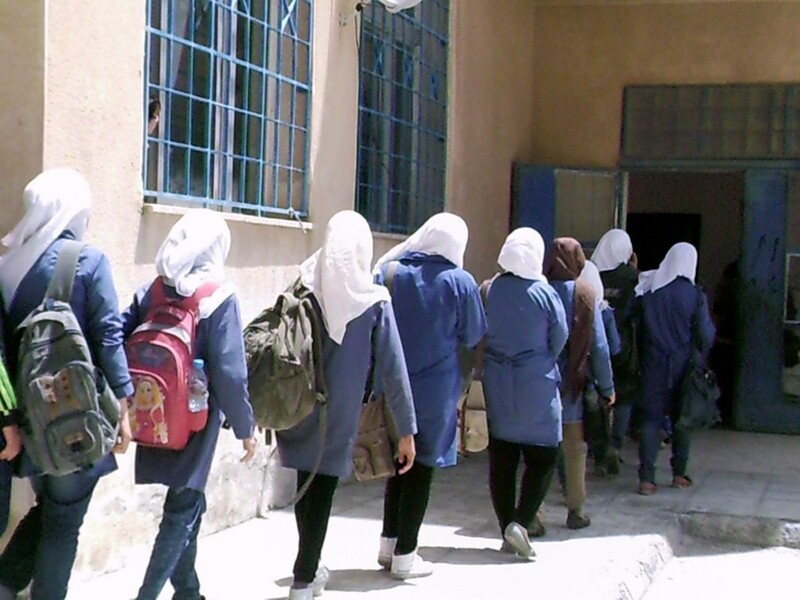 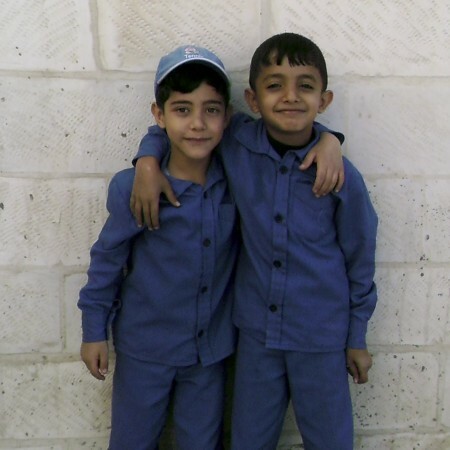 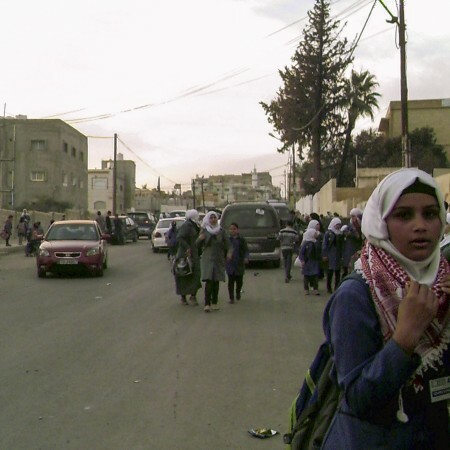 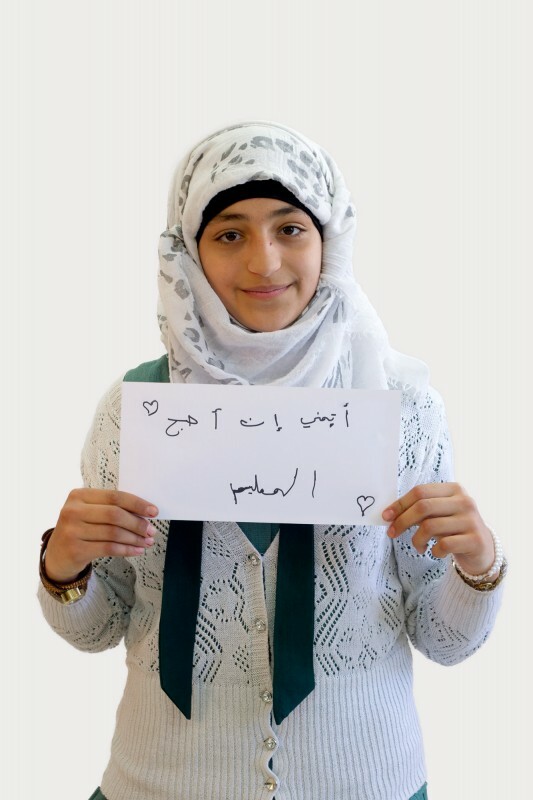 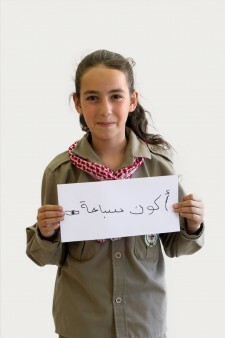 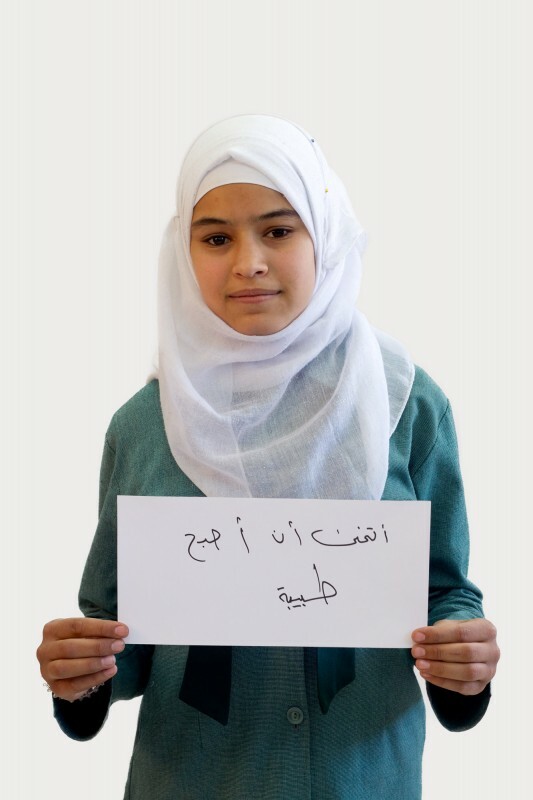 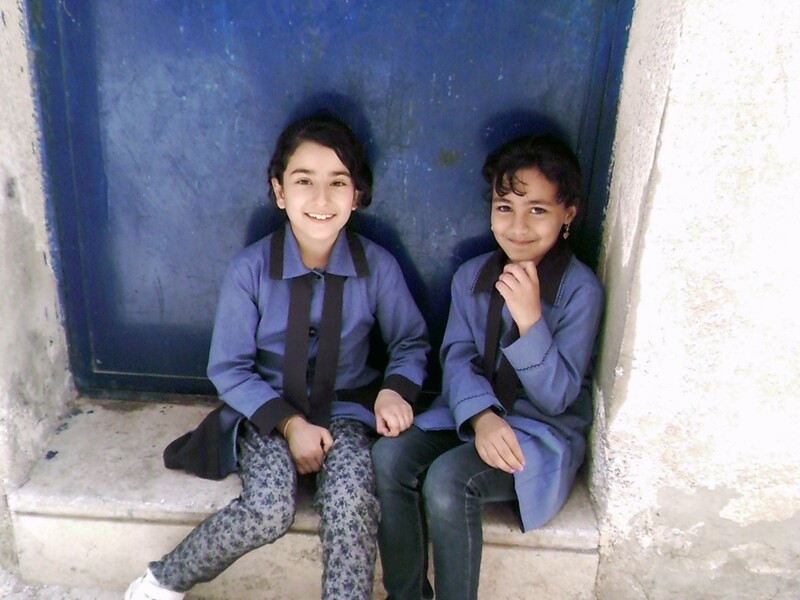 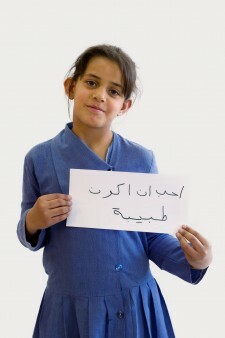 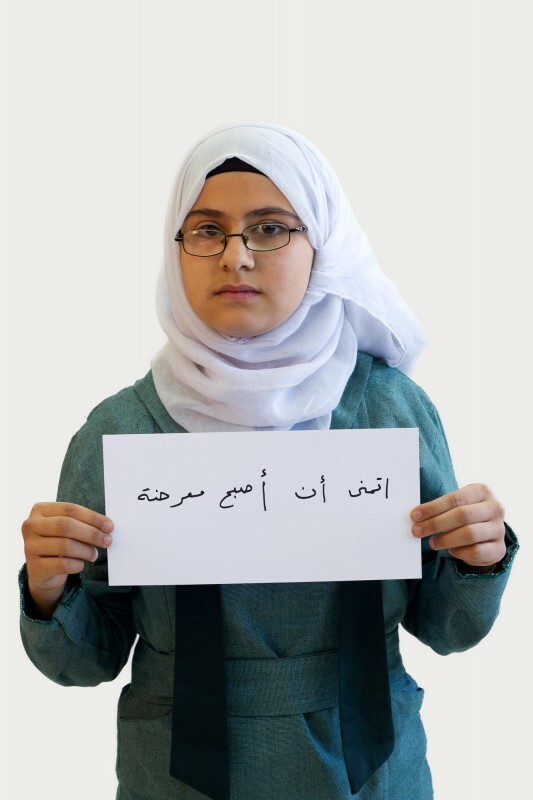 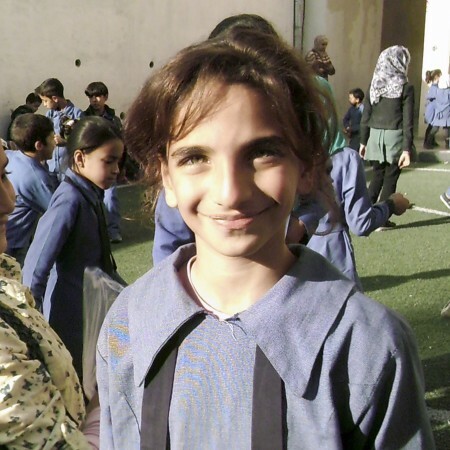 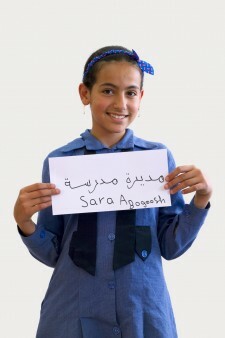 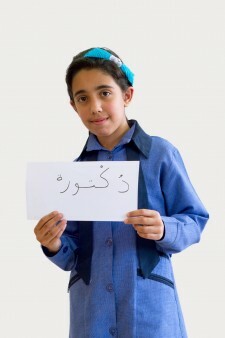 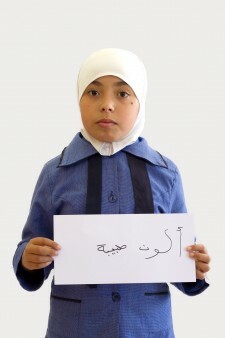 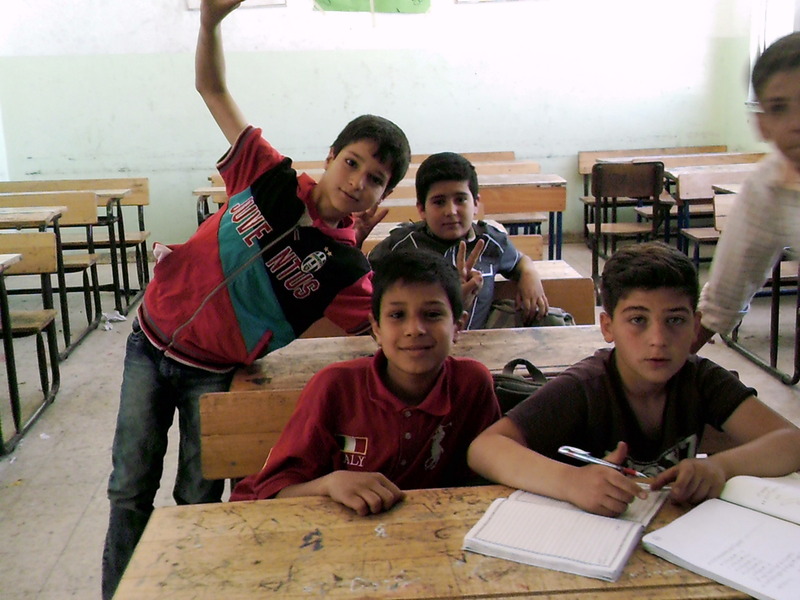 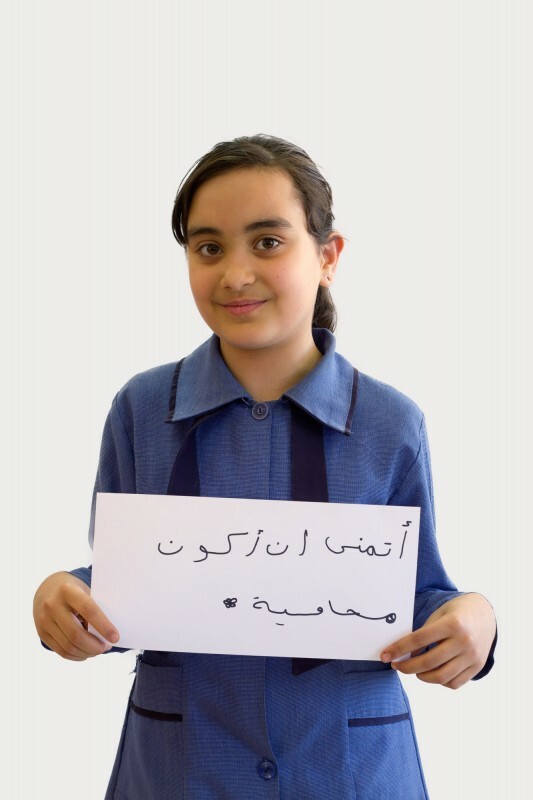 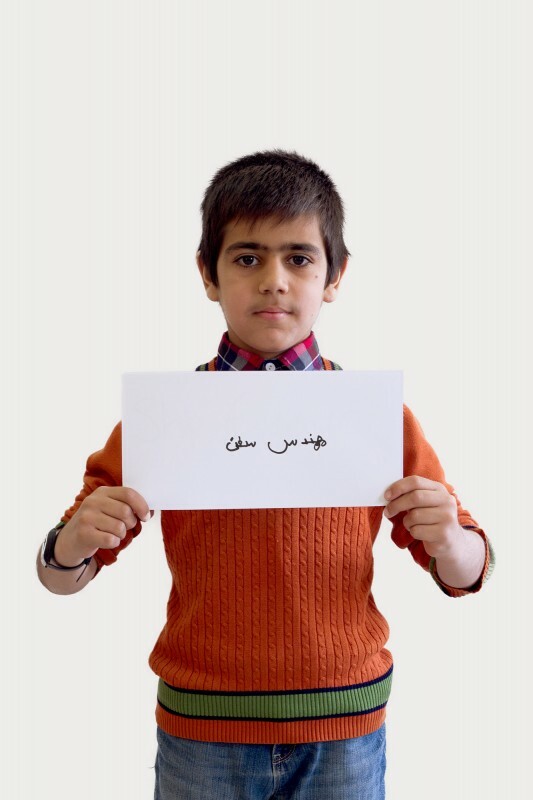 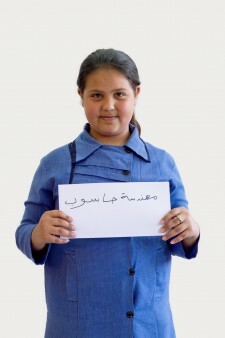 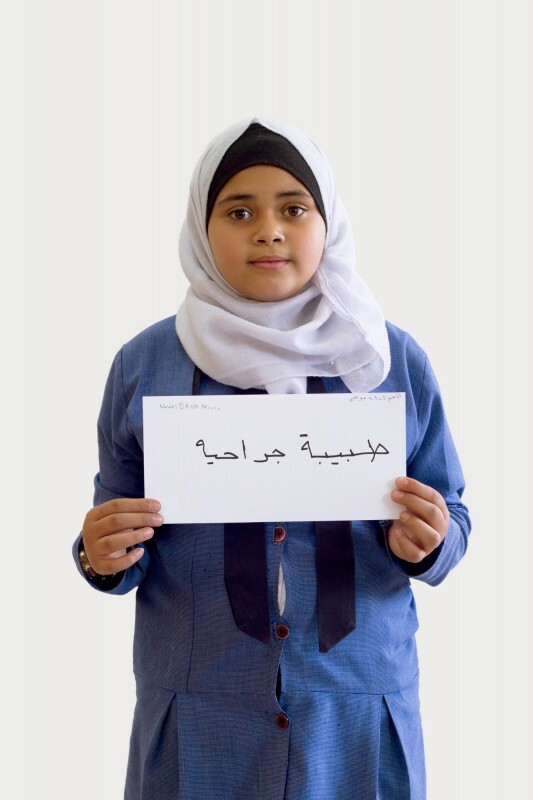 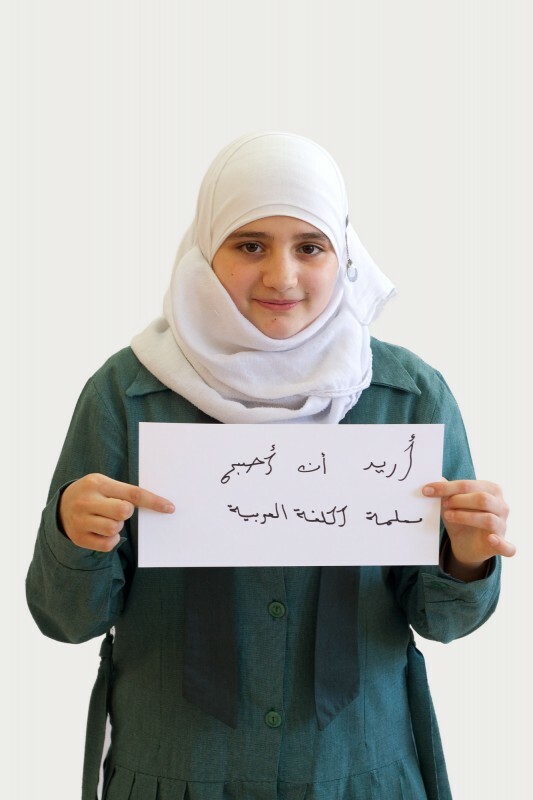 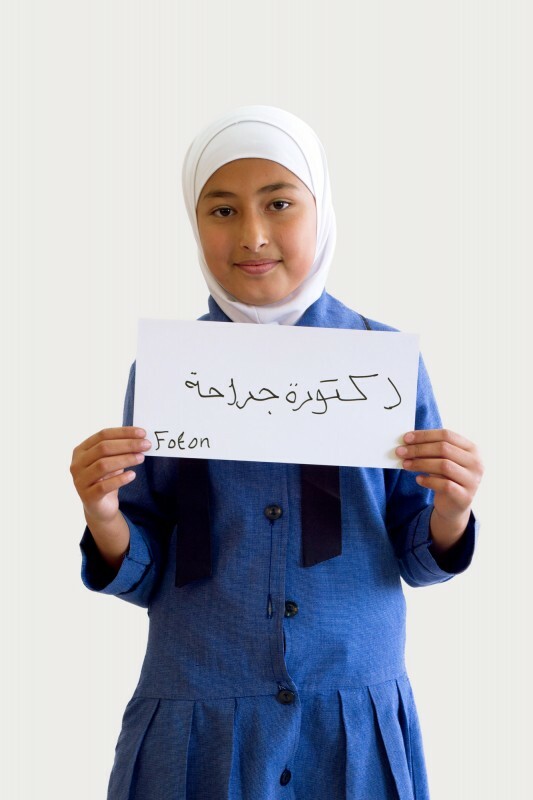 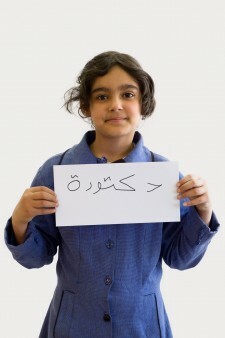 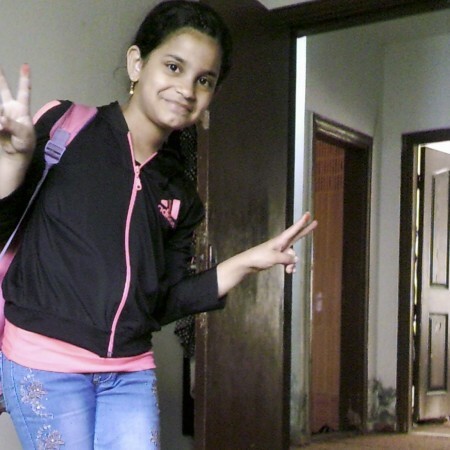 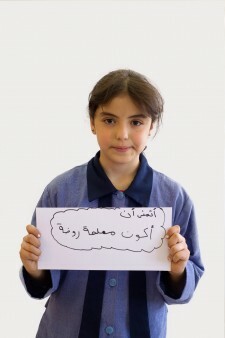 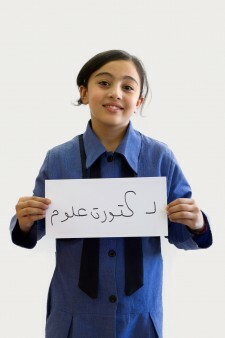 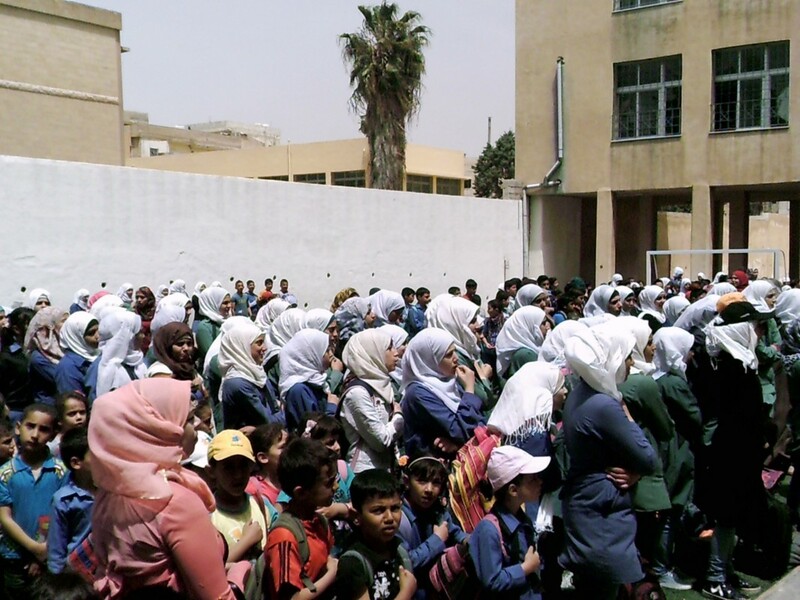 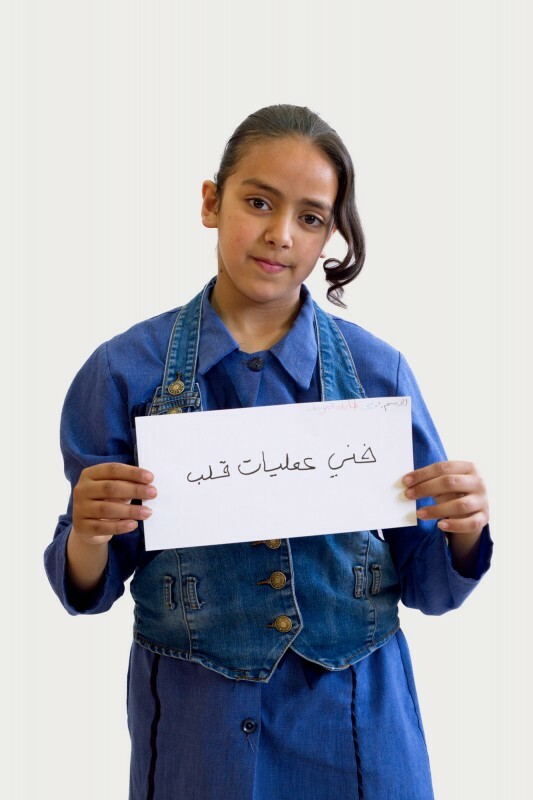 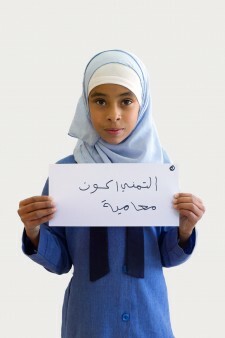 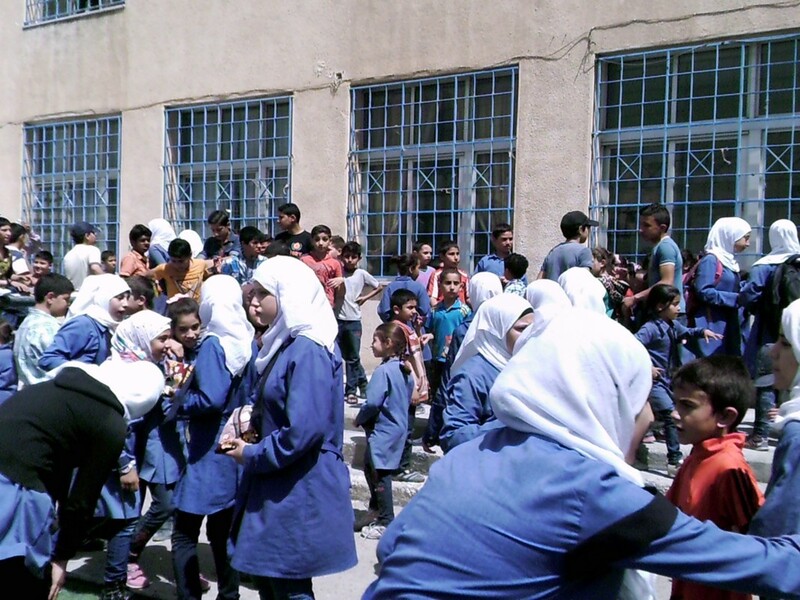 Ten students, Jordanians and Syrians, from sixth and seventh grade took pictures to document their daily school life. This photo was shot by the sixth grader Ateer. 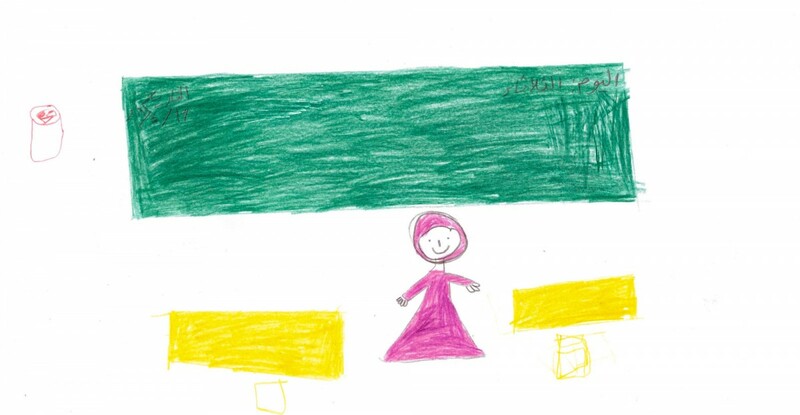 She likes her classroom and feels safe. 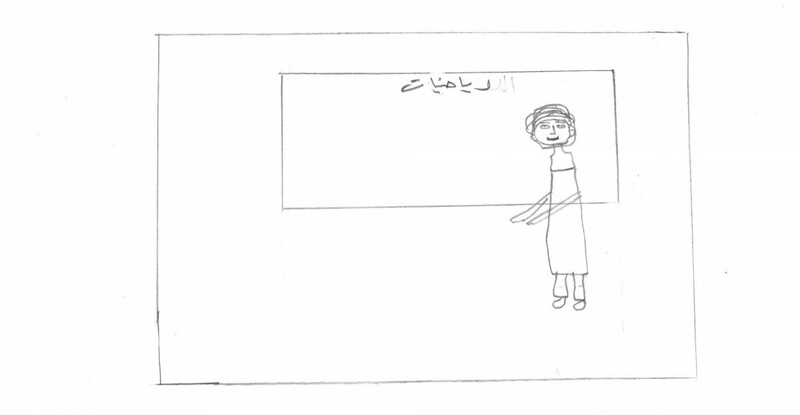 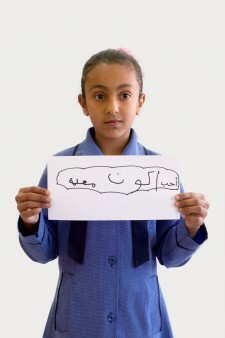 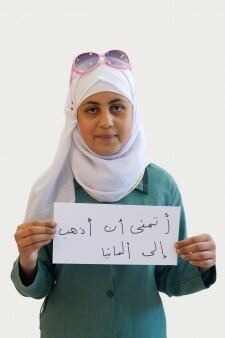 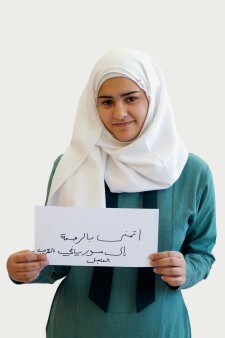 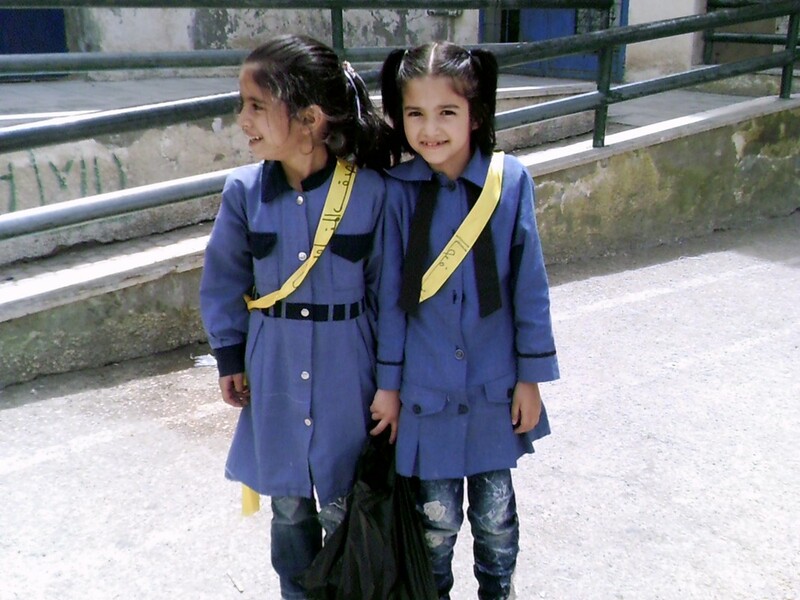 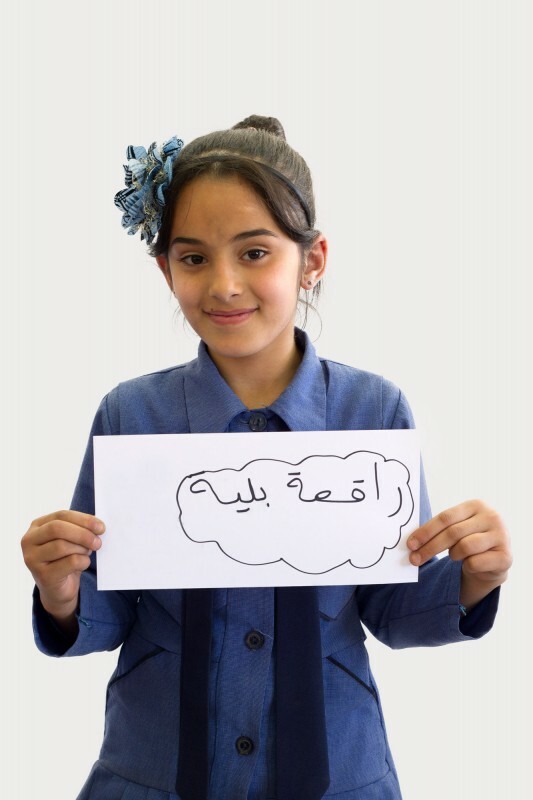 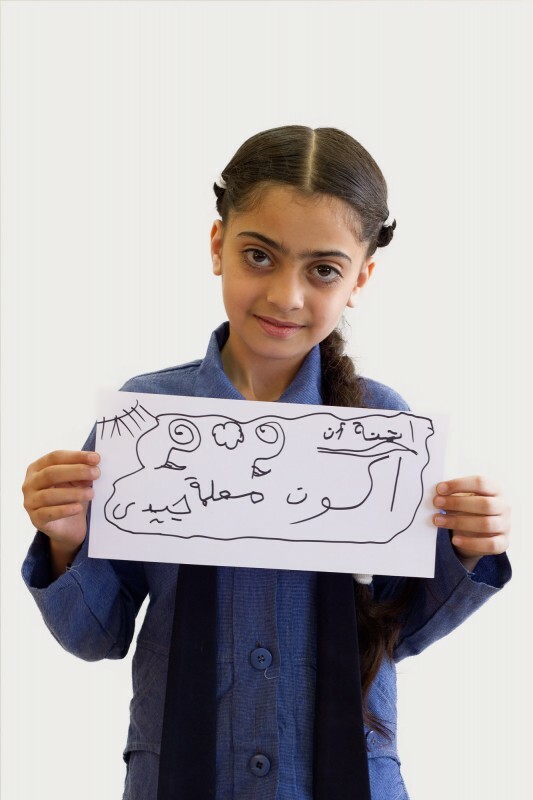 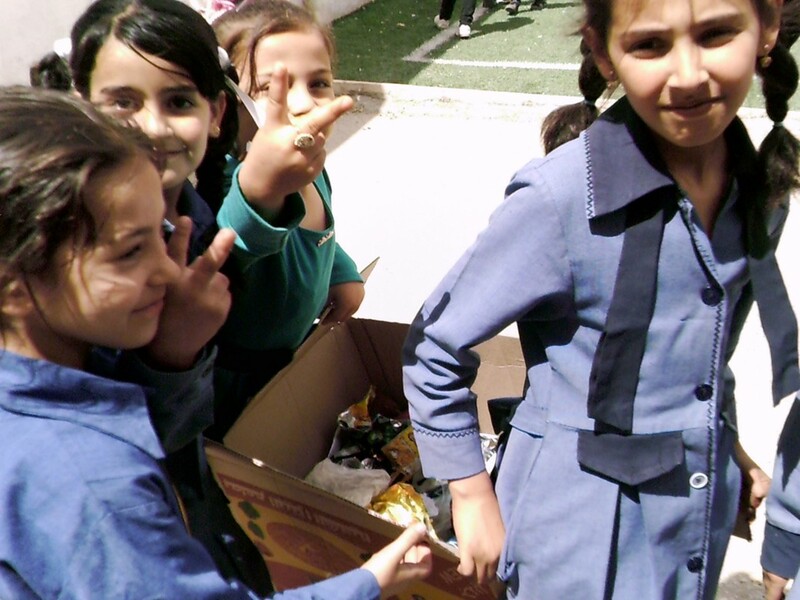 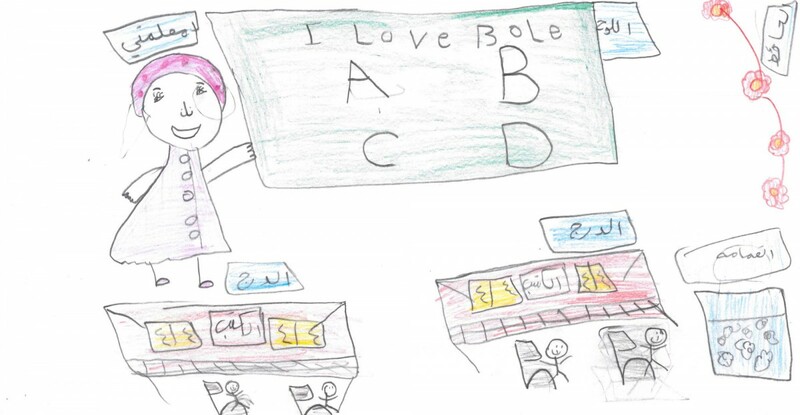 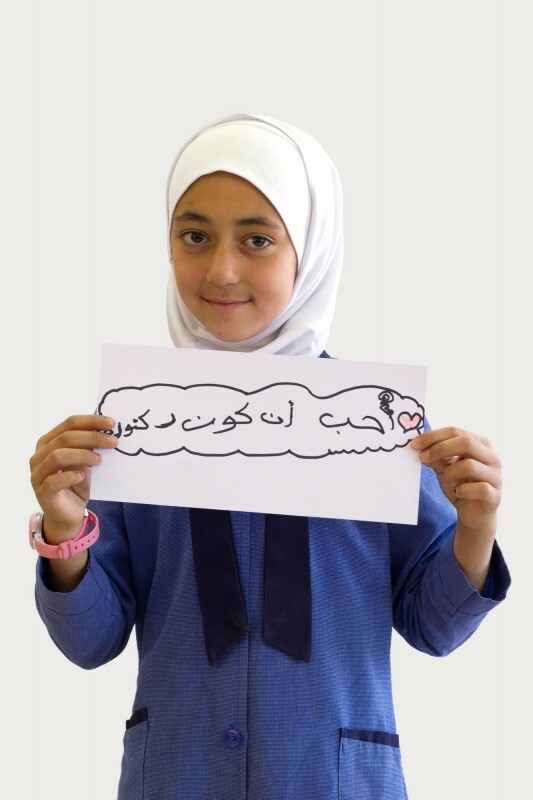 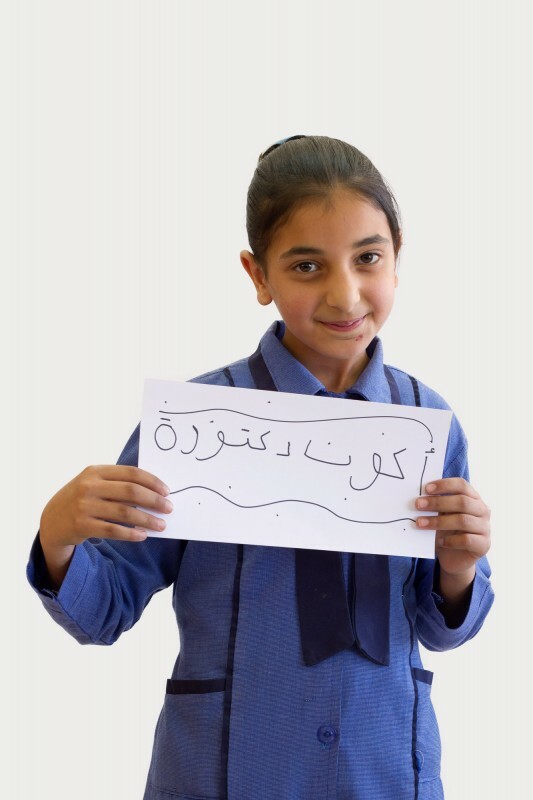 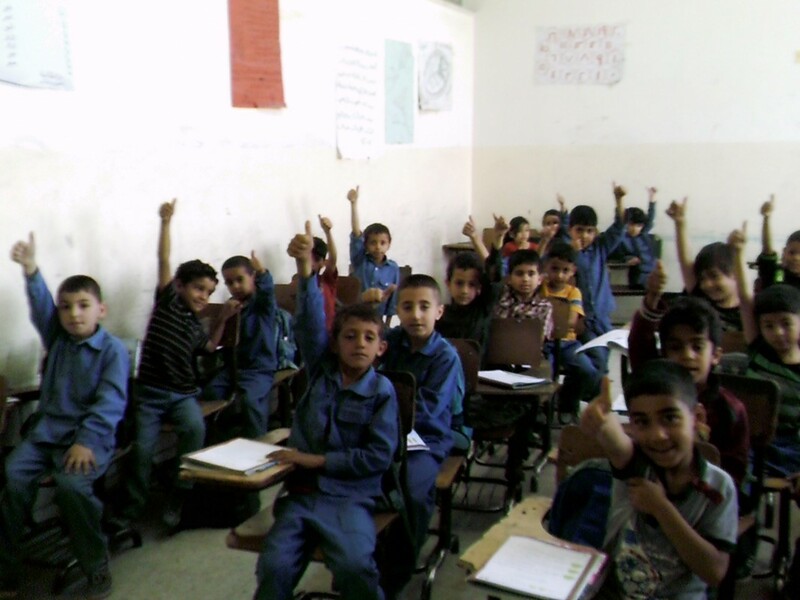 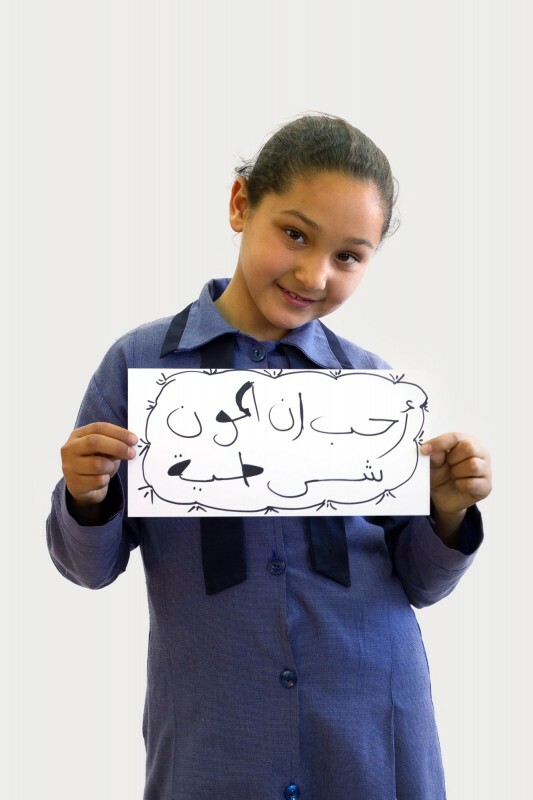 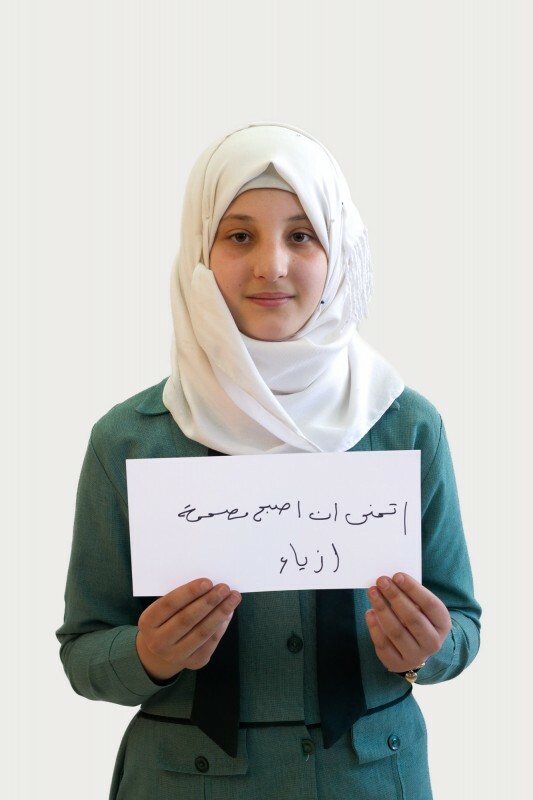 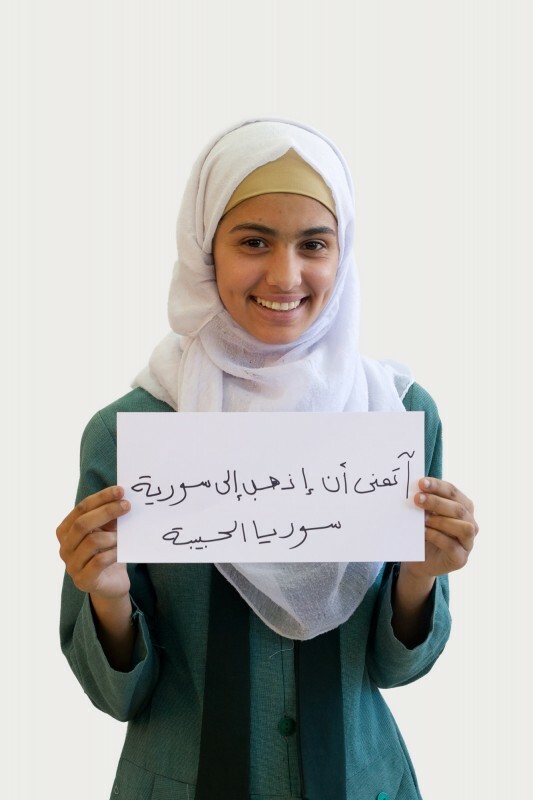 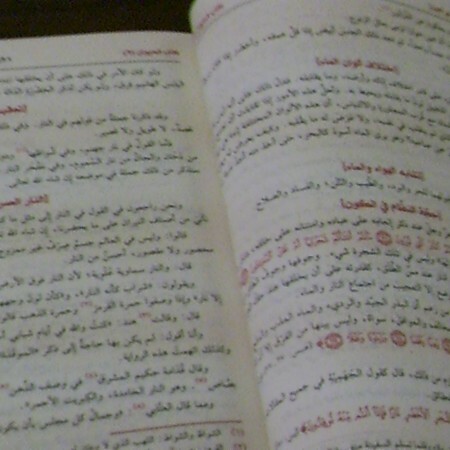 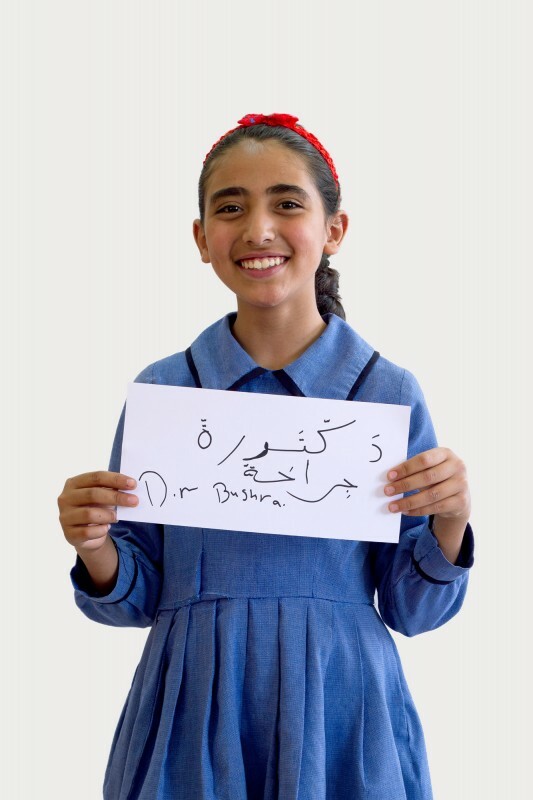 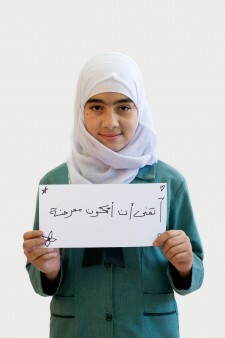 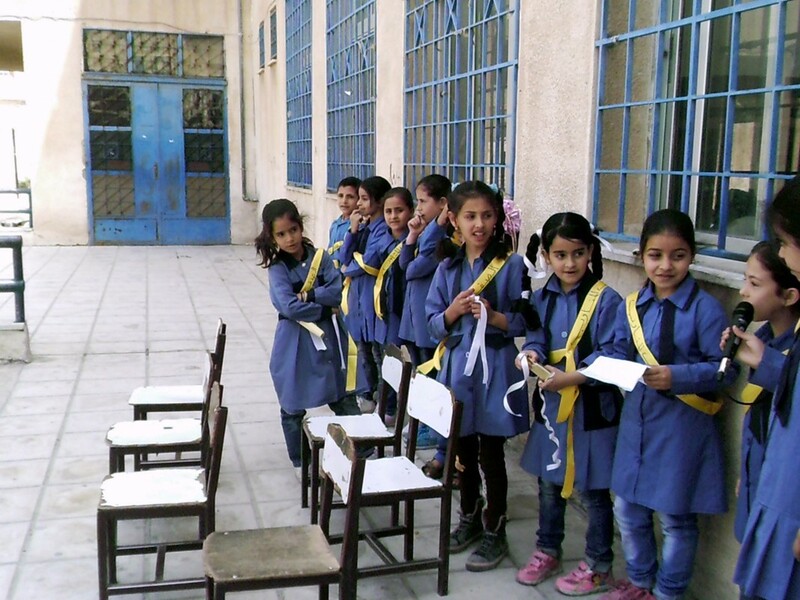 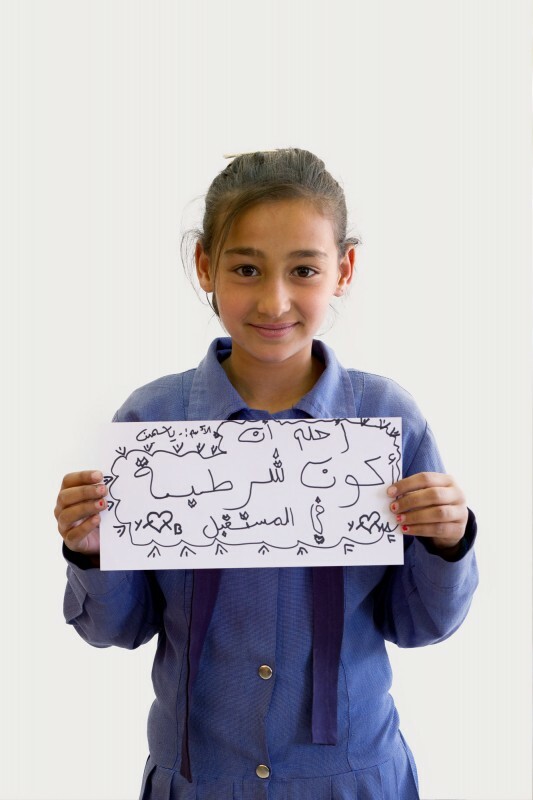 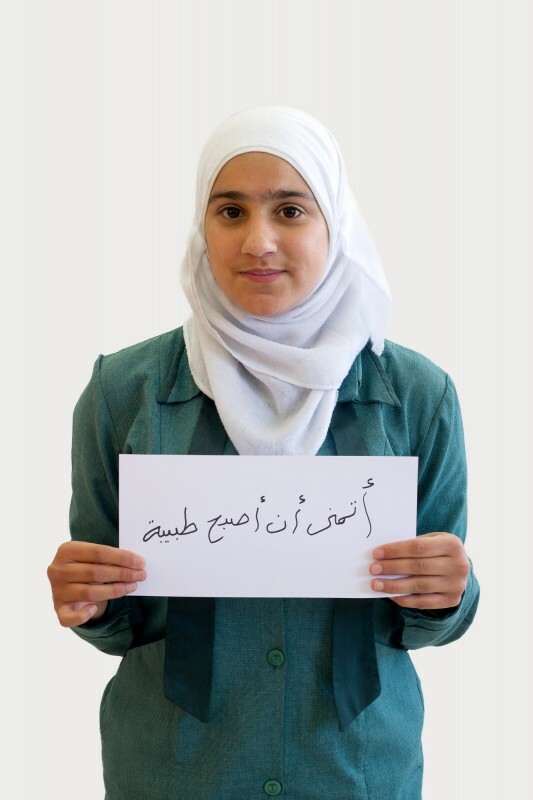 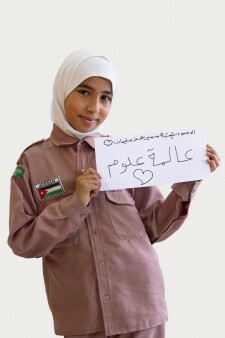 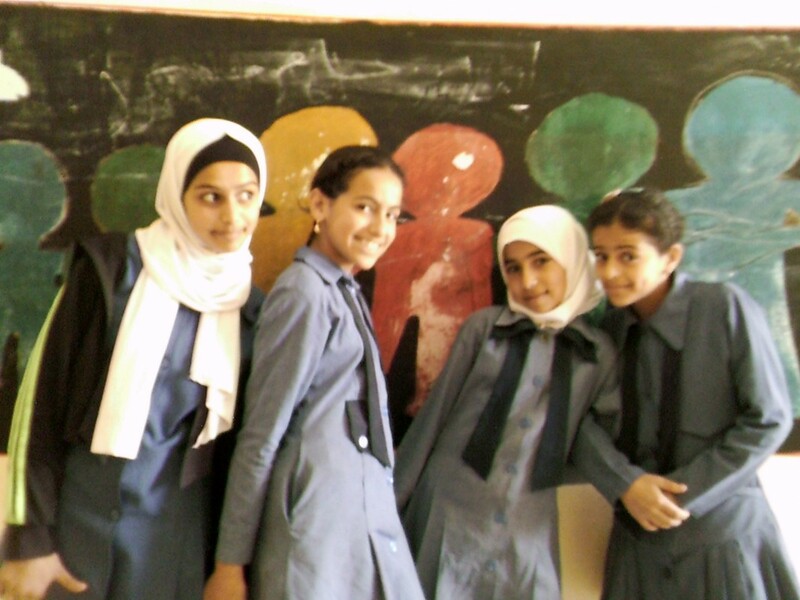 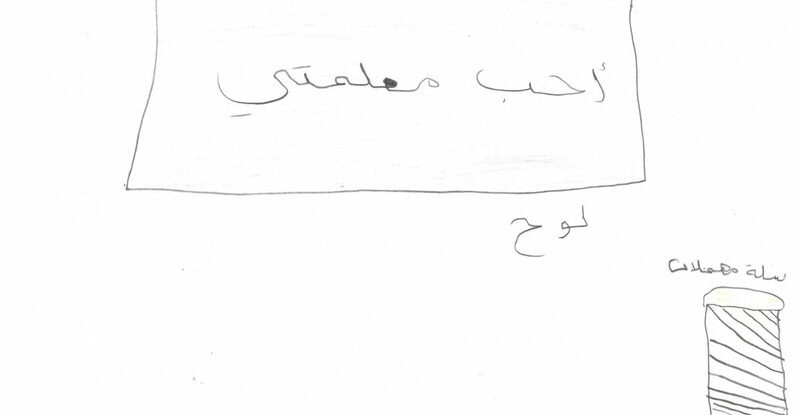 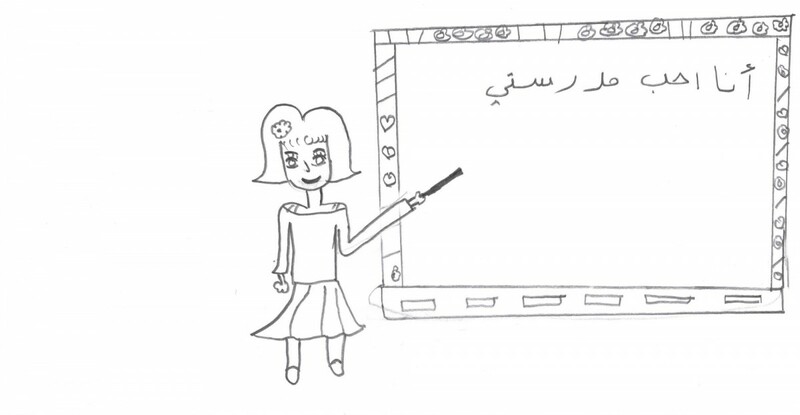 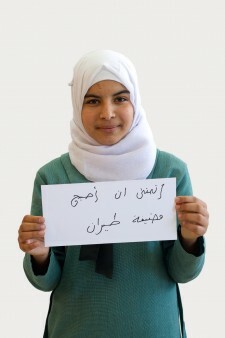 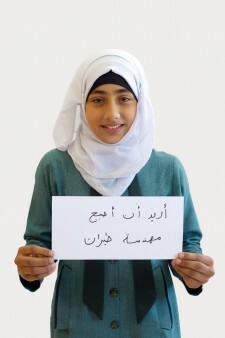 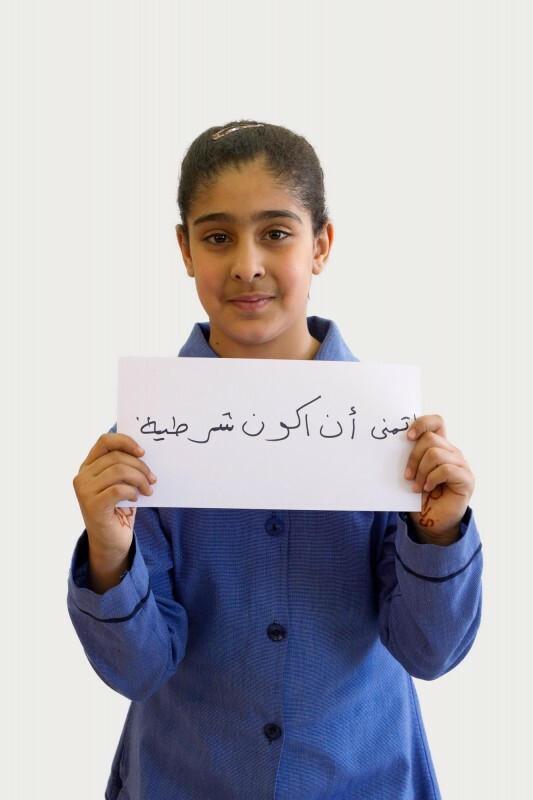 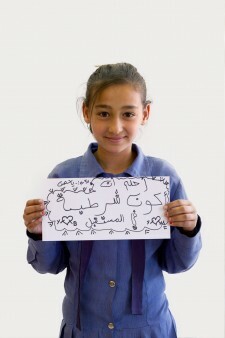 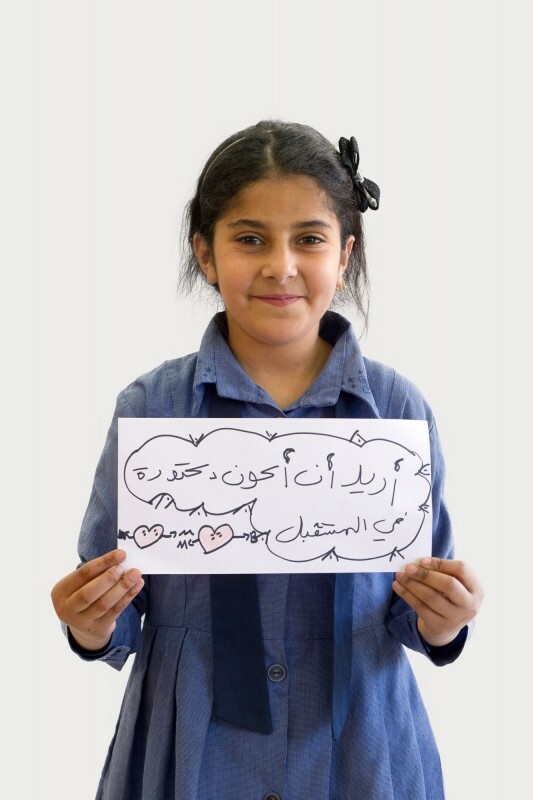 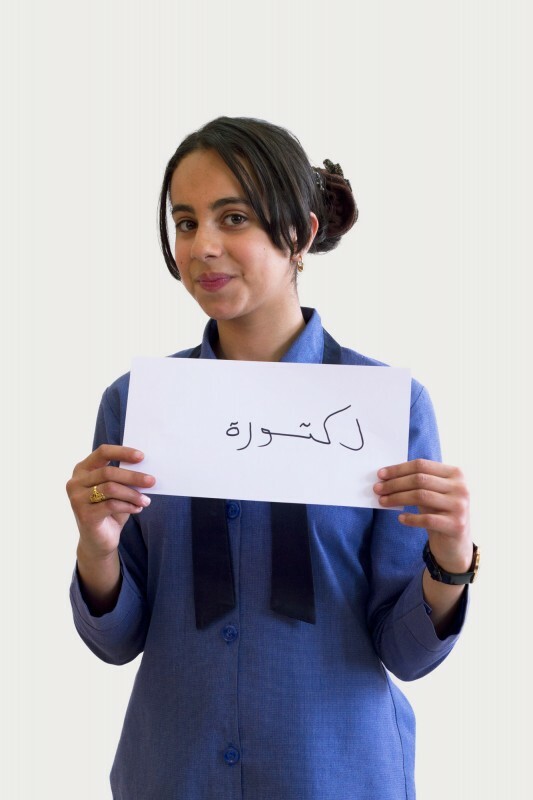 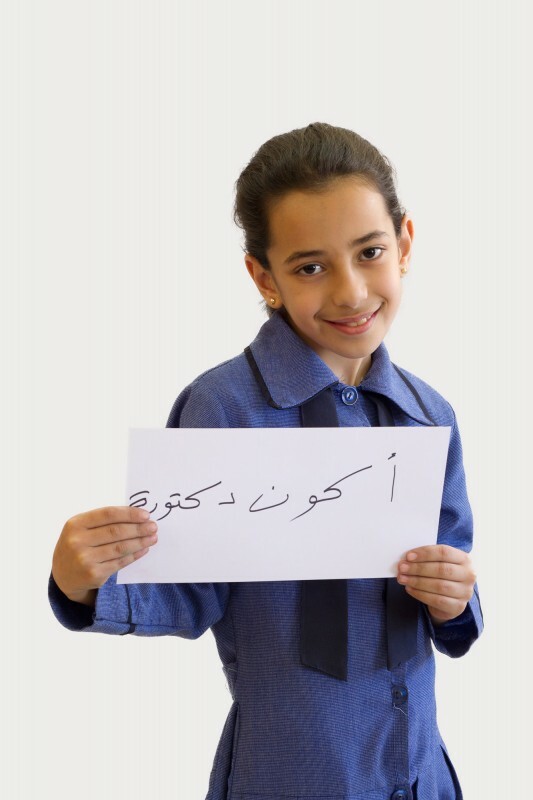 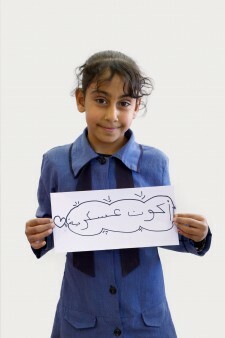 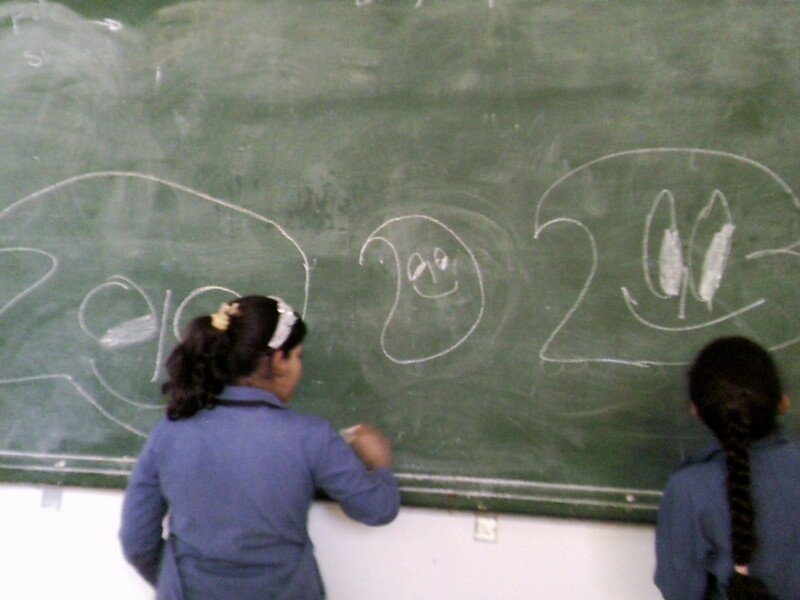 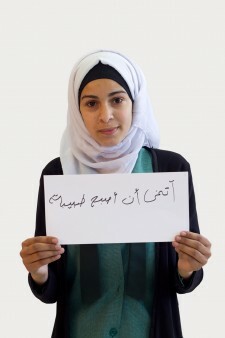 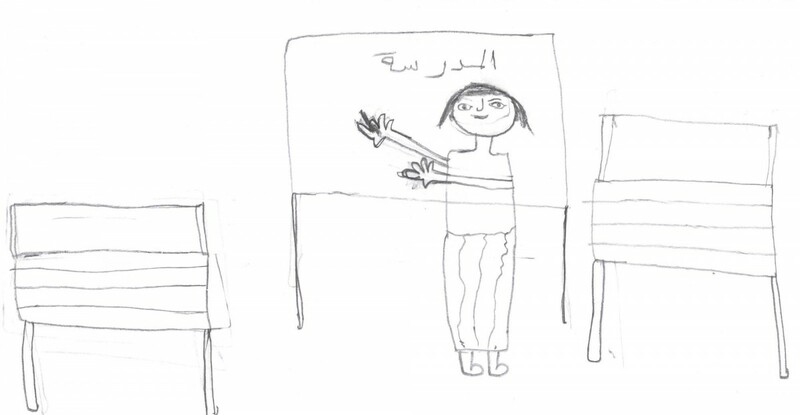 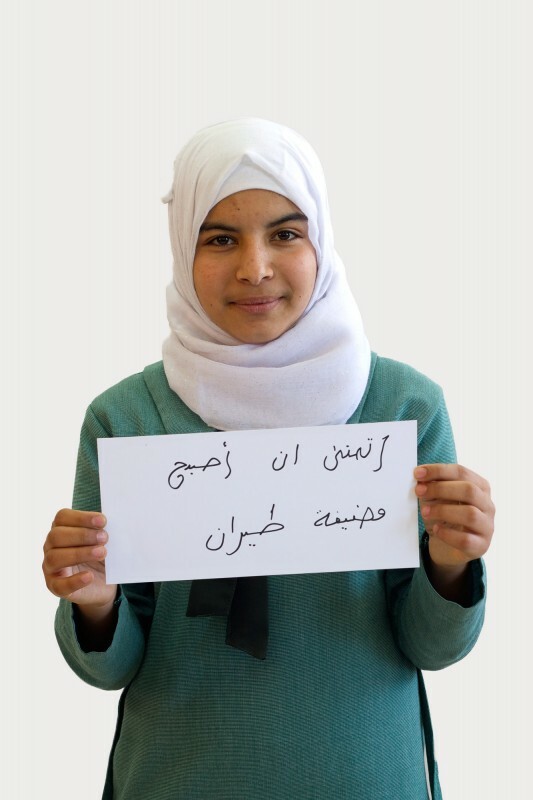 Bushra, a Jordanian student, captures the atmosphere in her classroom and the lessons. She likes science and English classes the most. 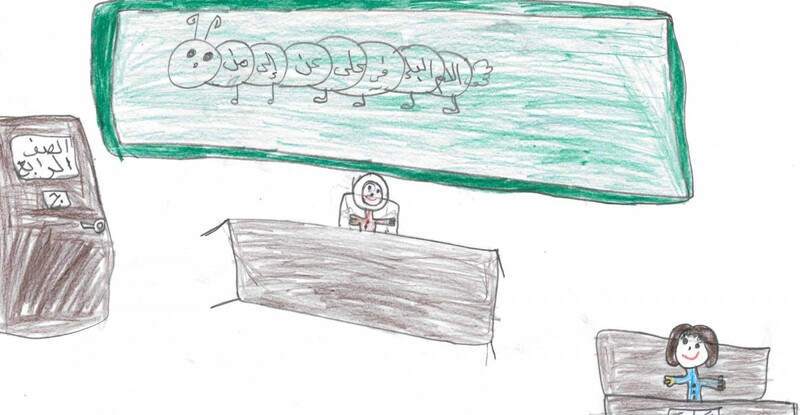 When asked what they like about their school, most students mention their friends, their teachers, and the headmaster who is mentioned by name in many questionnaires. 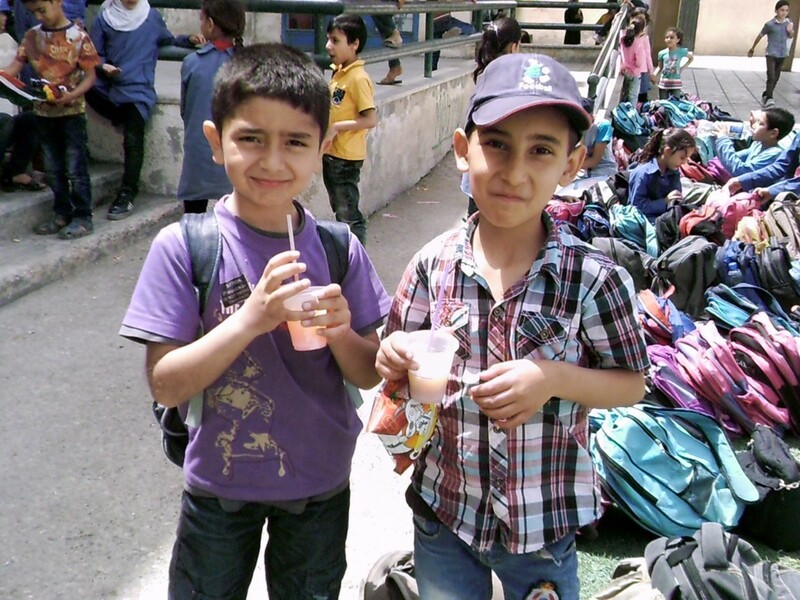 During breaks the students have drinks and snacks. 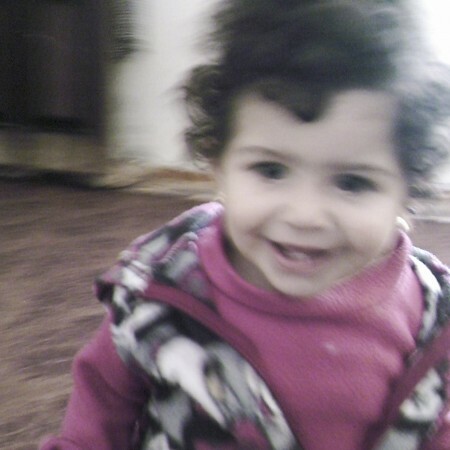 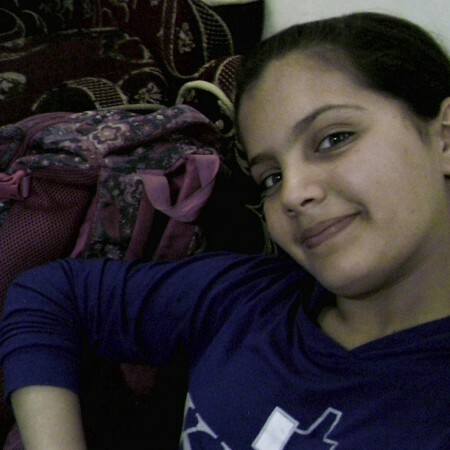 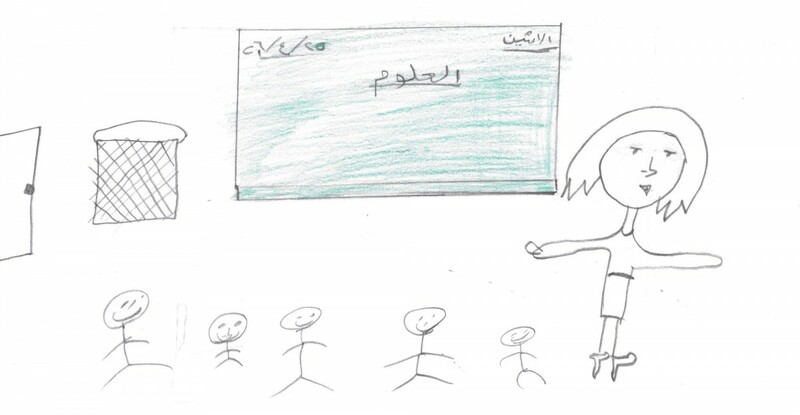 Maryam, a Syrian student from seventh grade, is taking photos from the shift change. 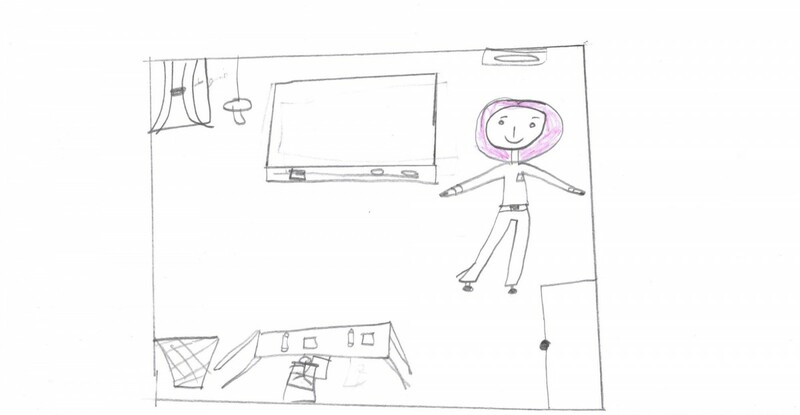 “Dirtiness” is the most frequently mentioned word when it comes to what students don’t like about their school. 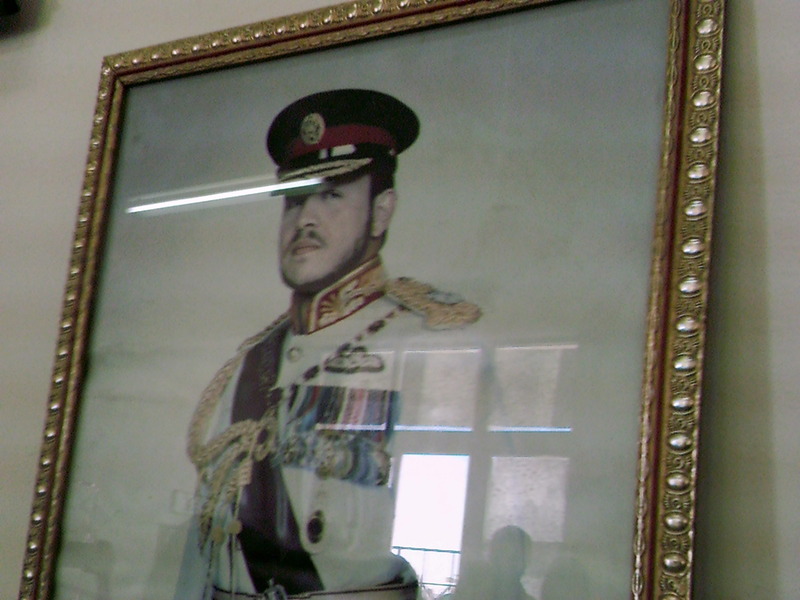 The King of Jordan, Abdullah II bin Al Hussein, is omnipresent in Jordan. 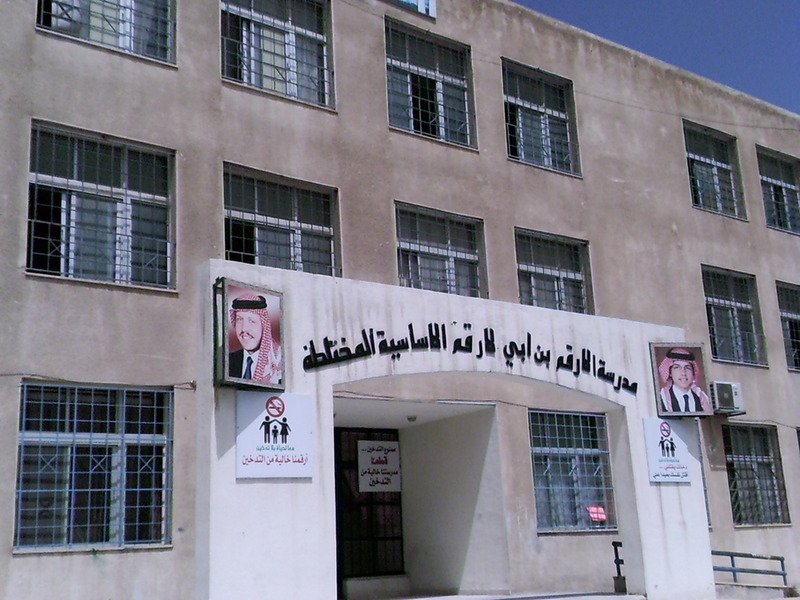 This school is no exception: Paintings and photographs of the King are found at the school entrance, in the headmaster’s office, and in the library. 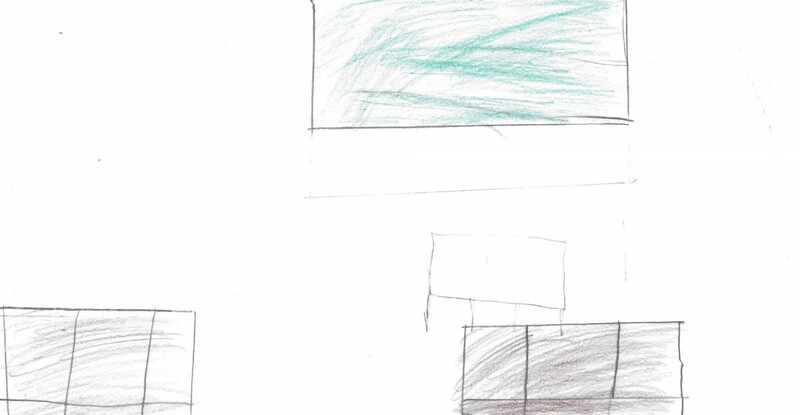 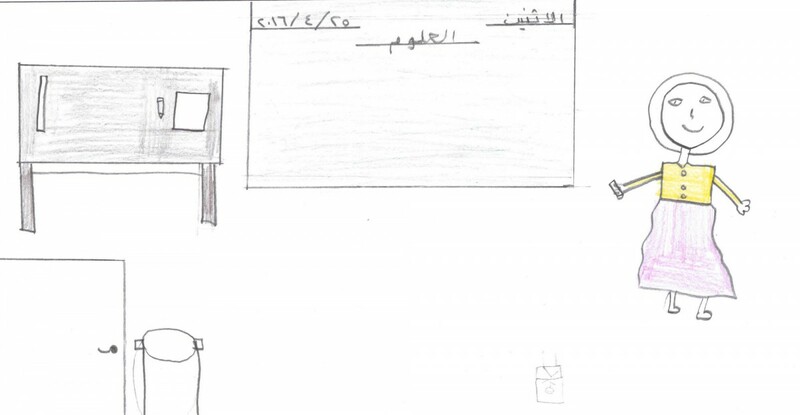 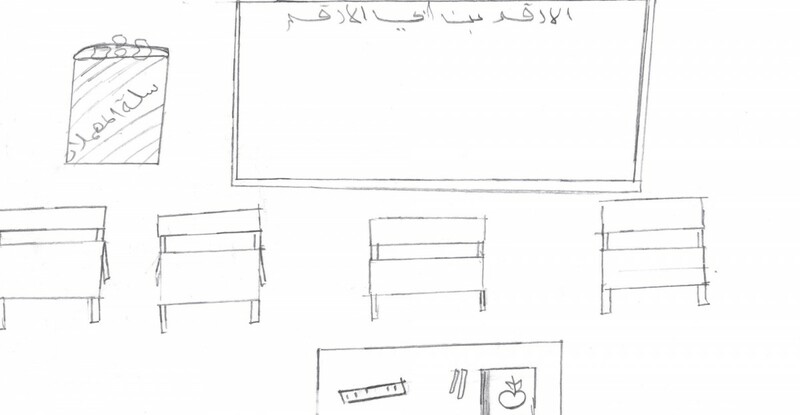 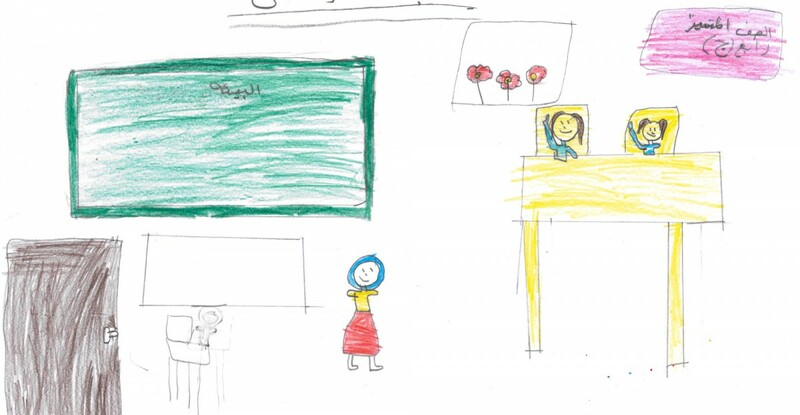 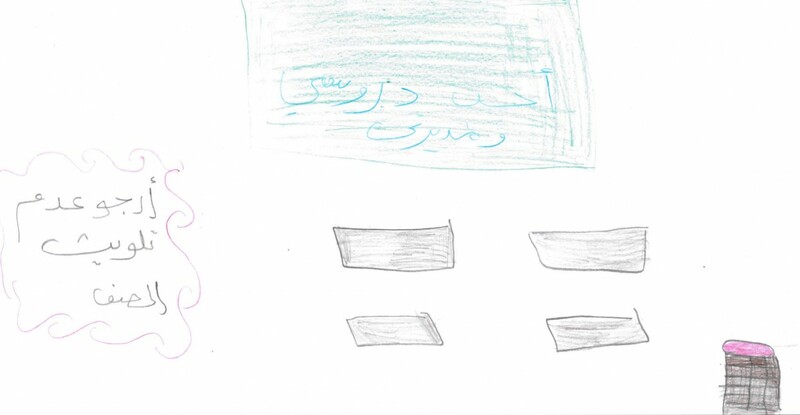 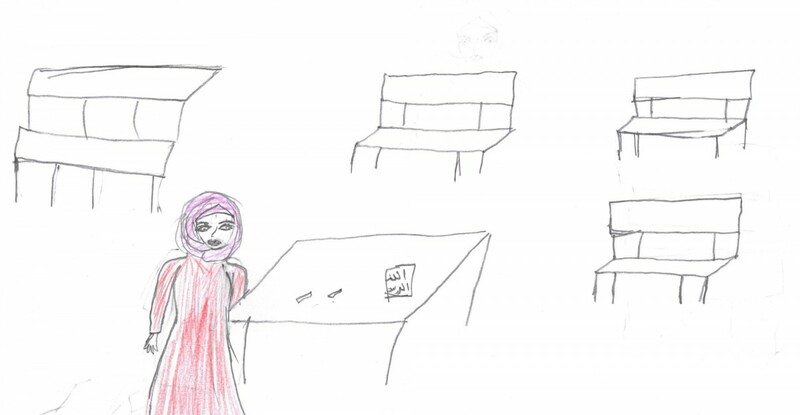 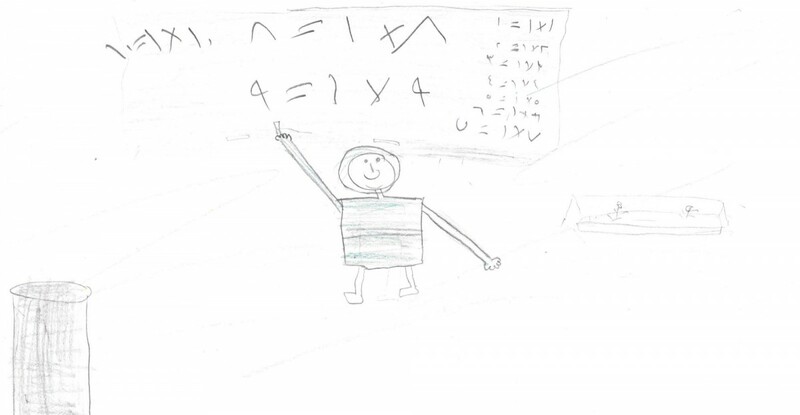 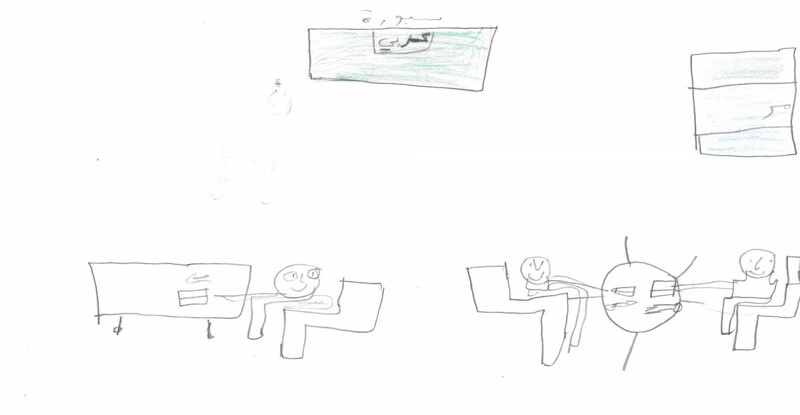 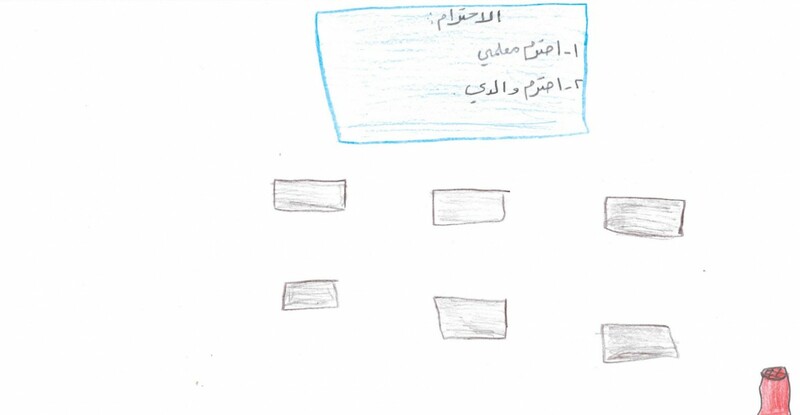 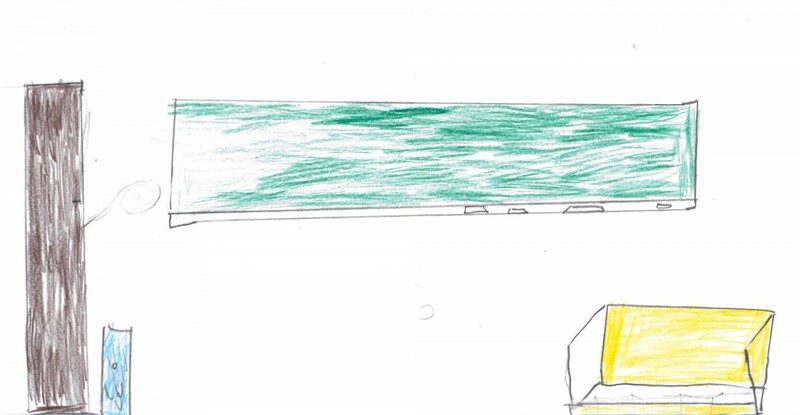 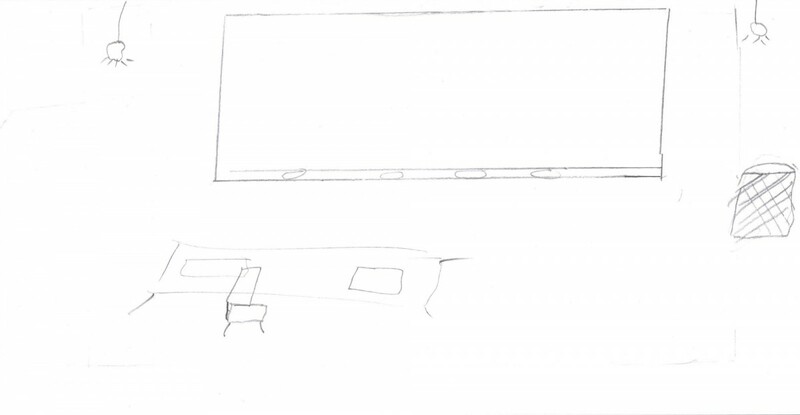 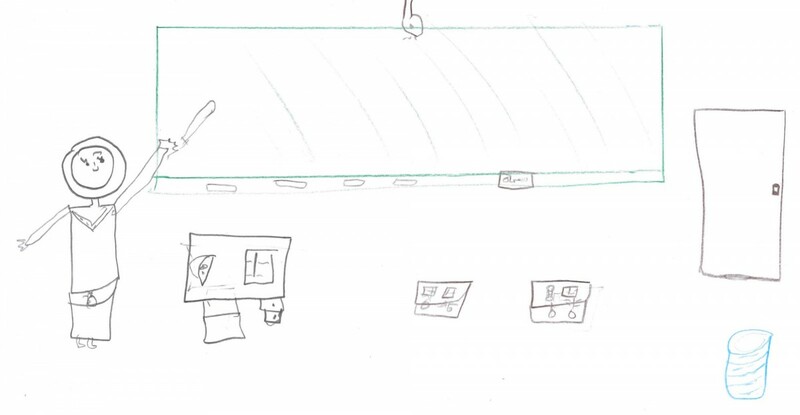 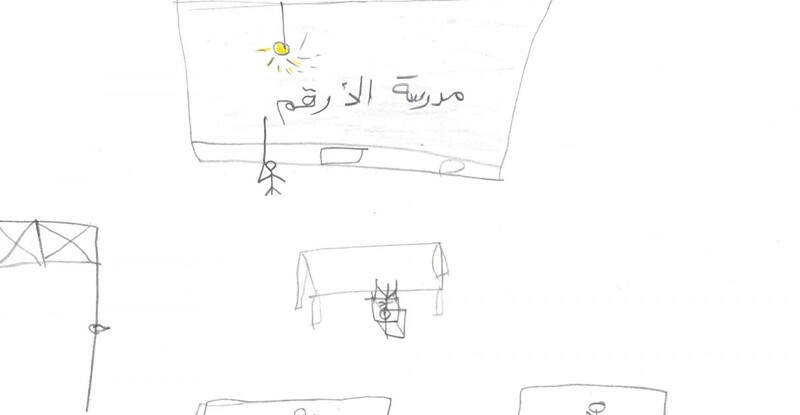 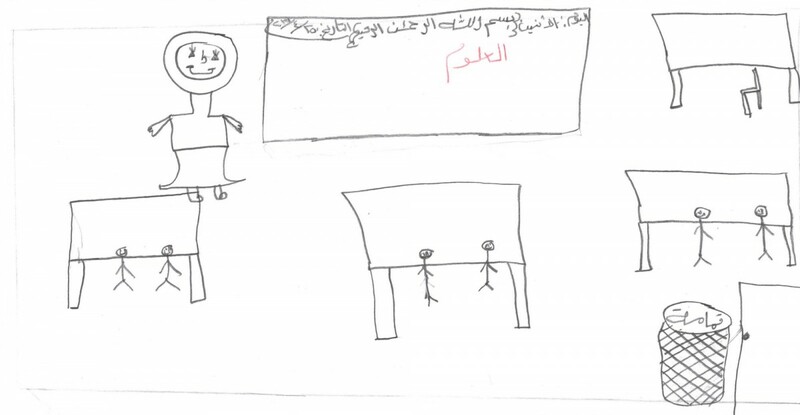 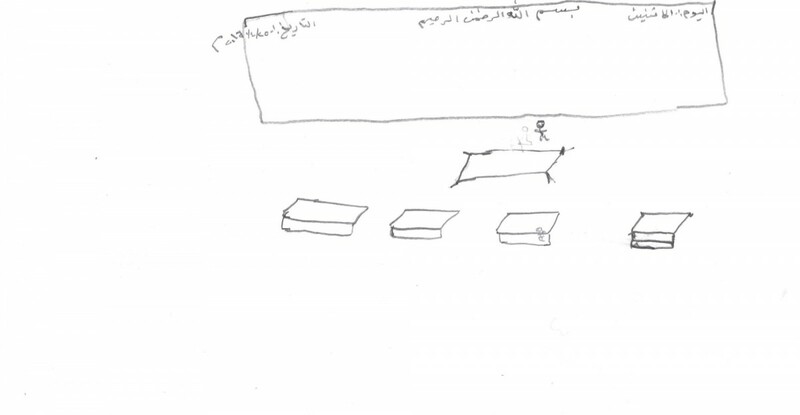 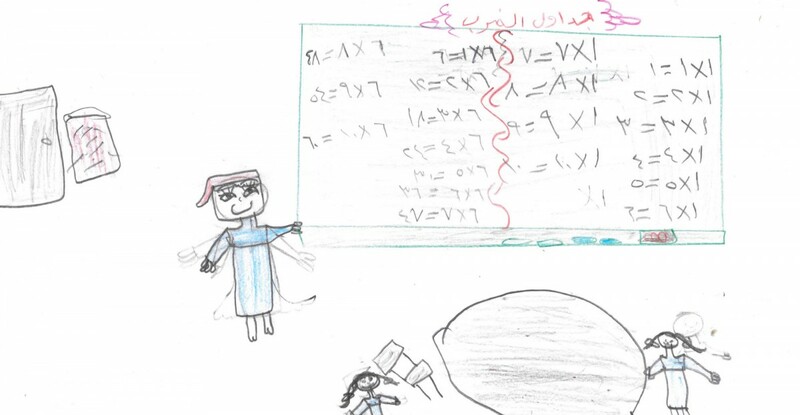 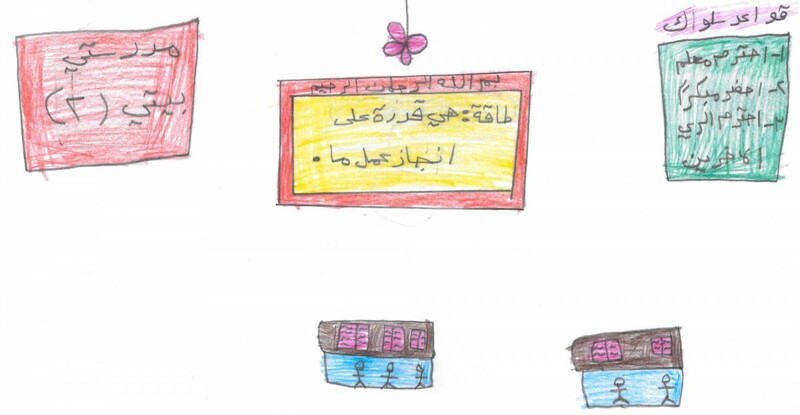 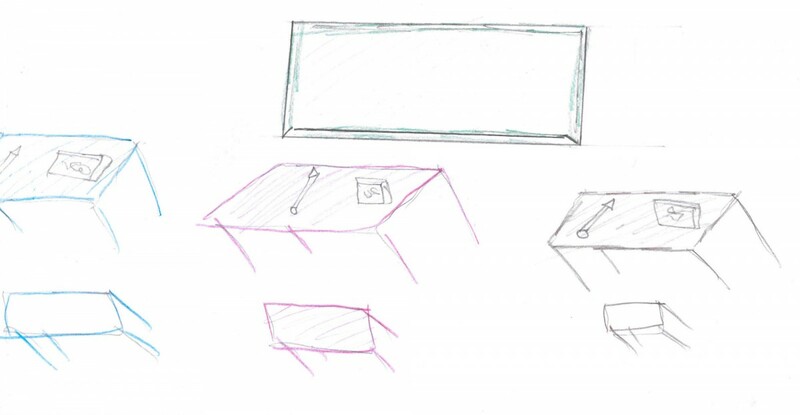 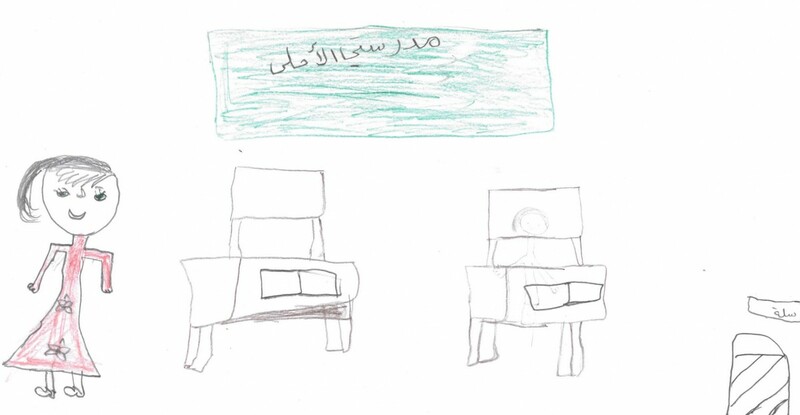 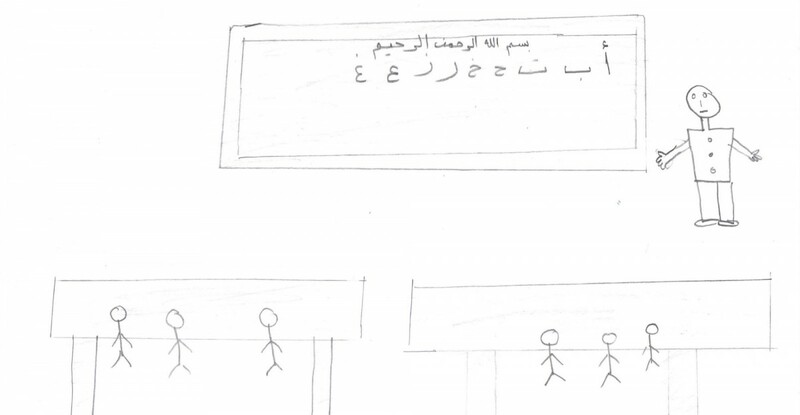 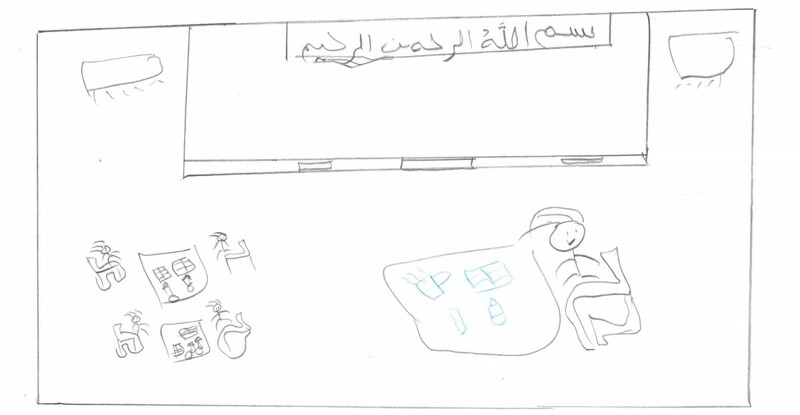 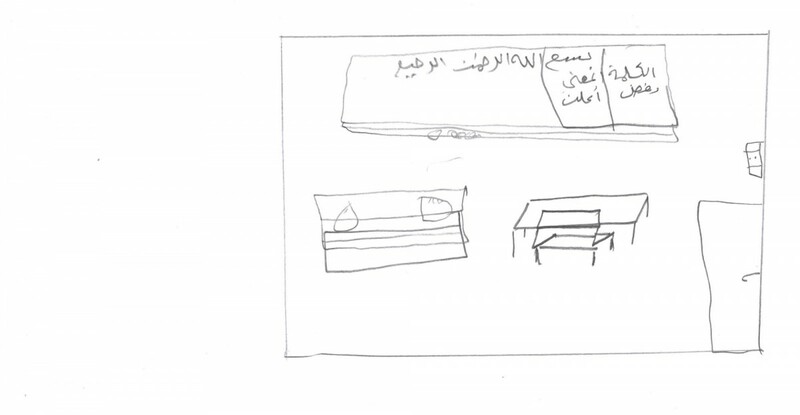 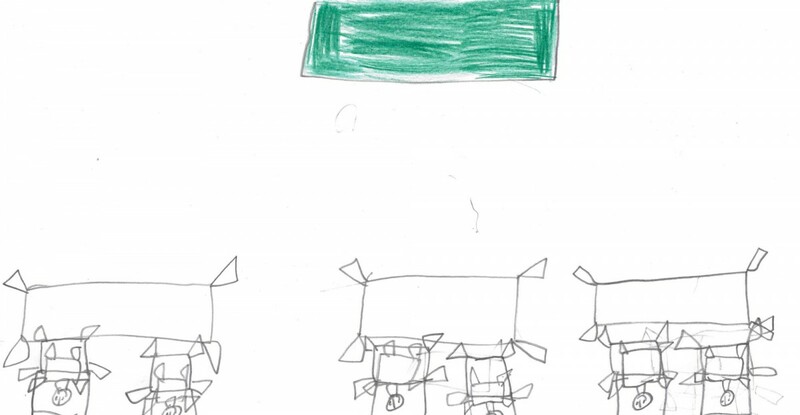 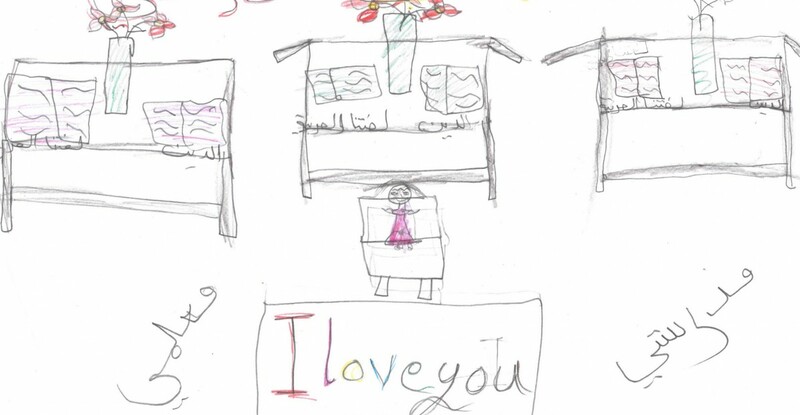 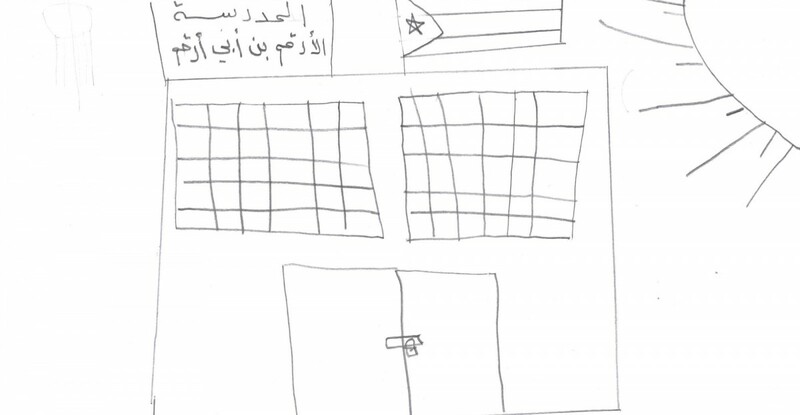 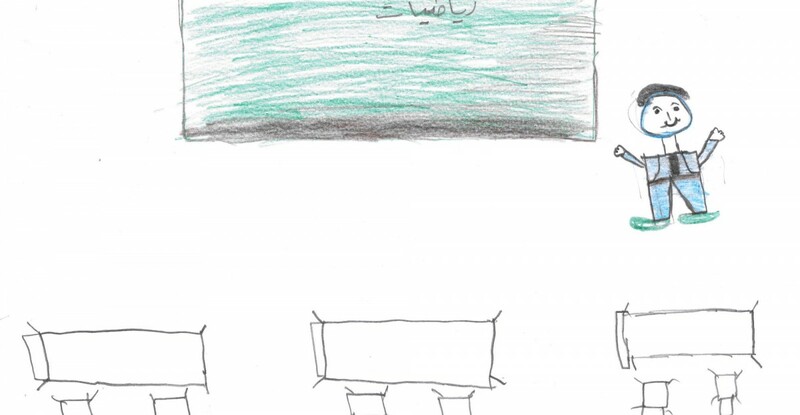 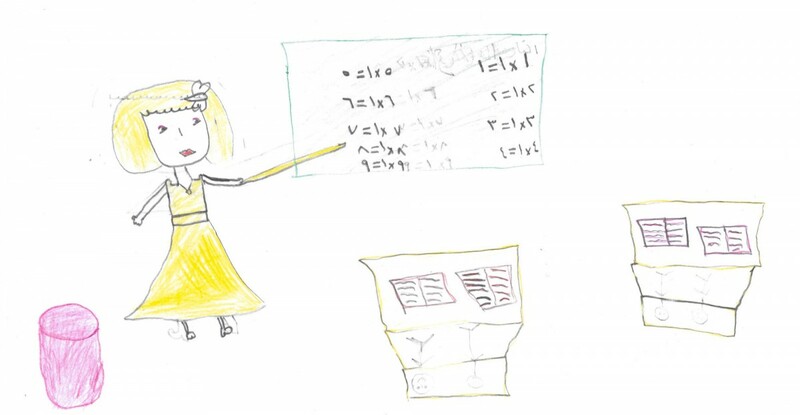 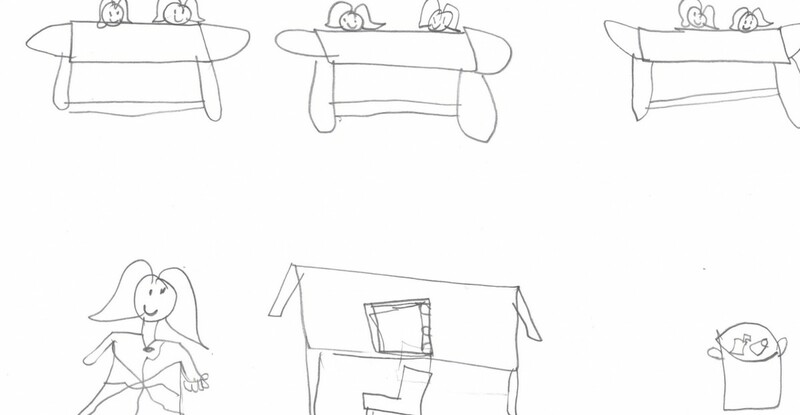 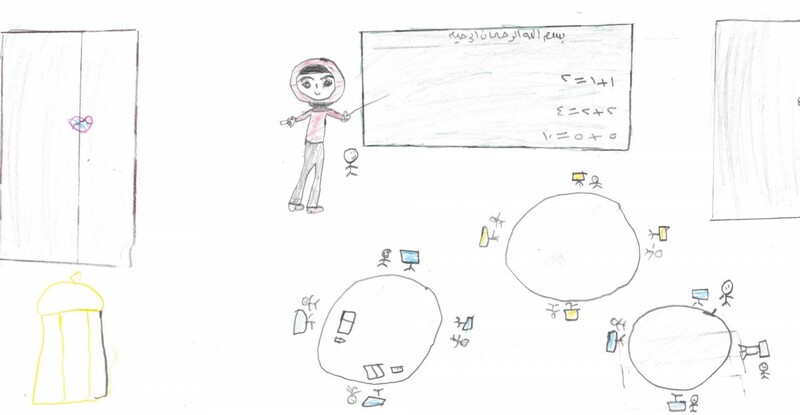 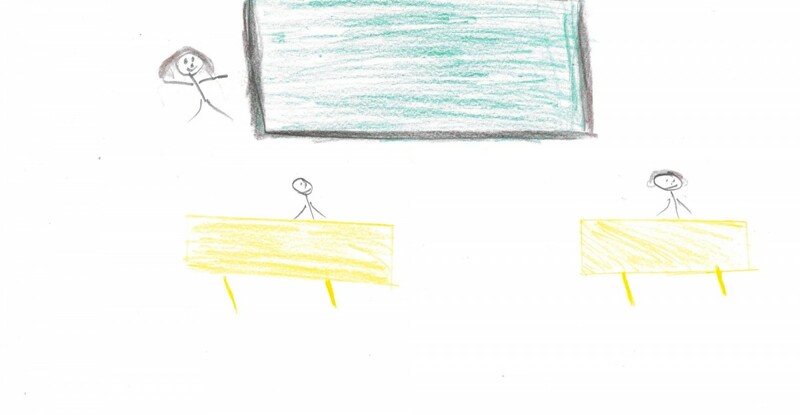 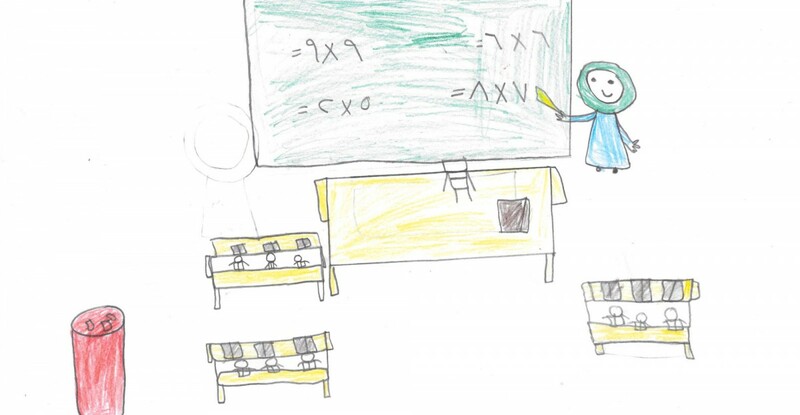 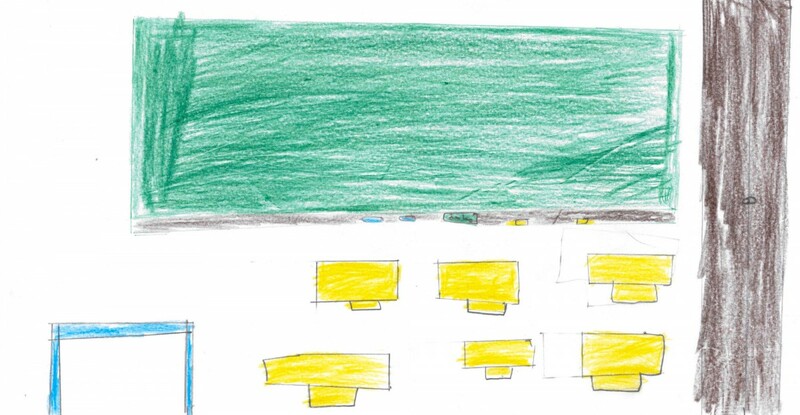 Get an insight into Al-Arqam’s classrooms by analysing the students’ drawings. 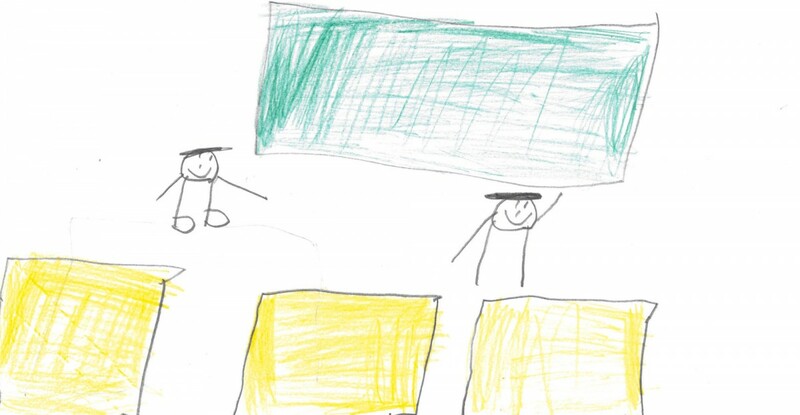 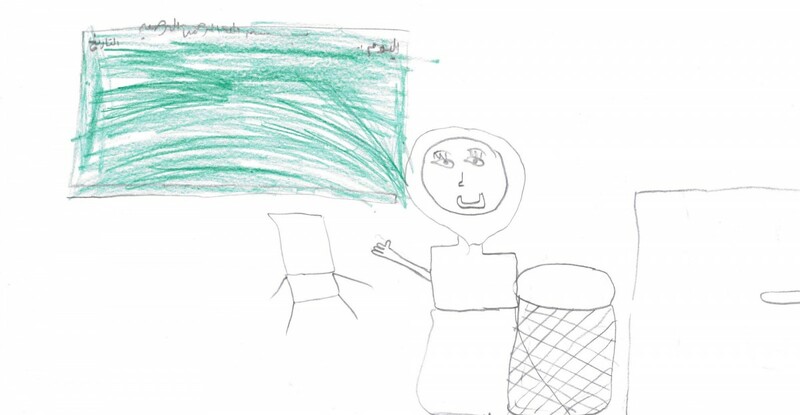 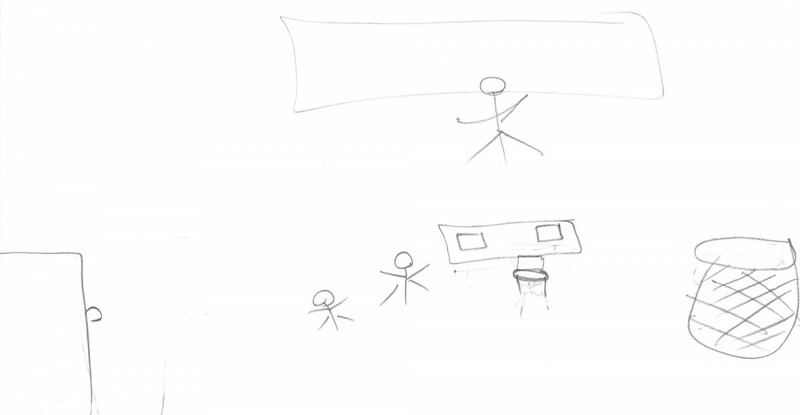 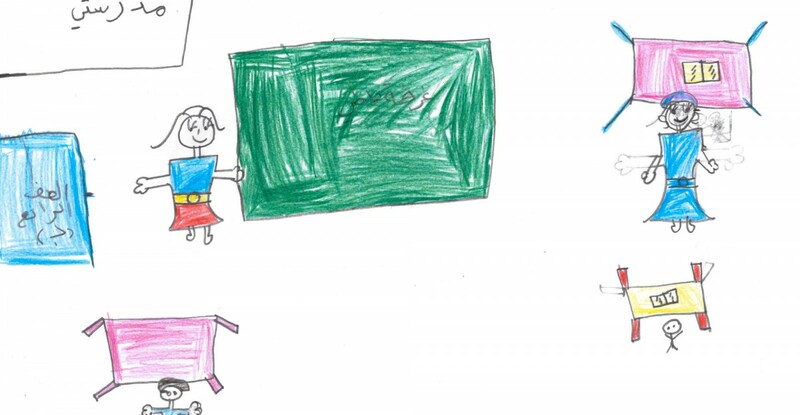 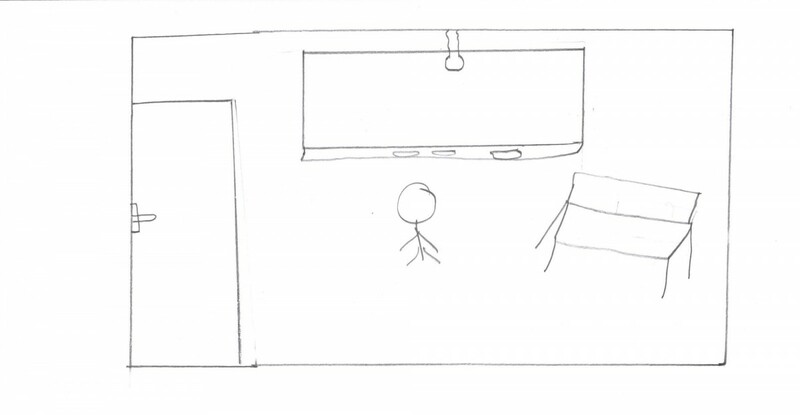 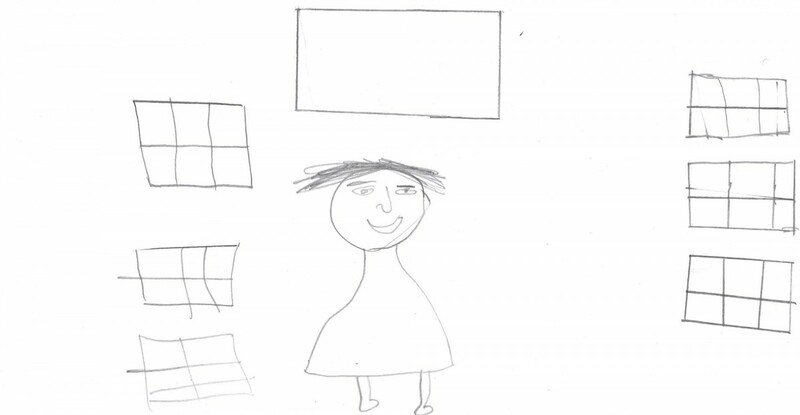 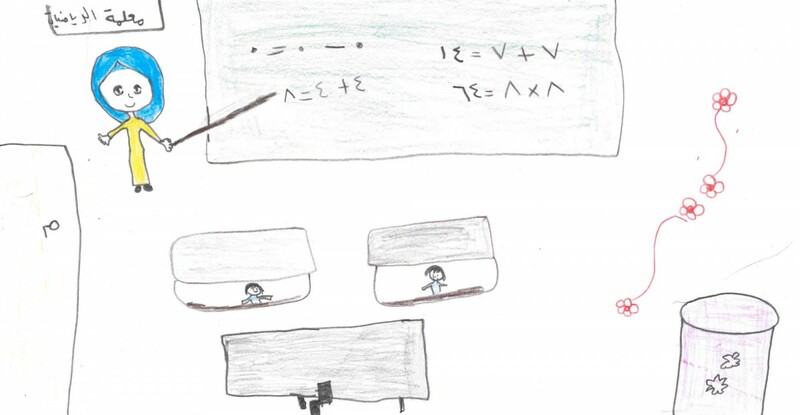 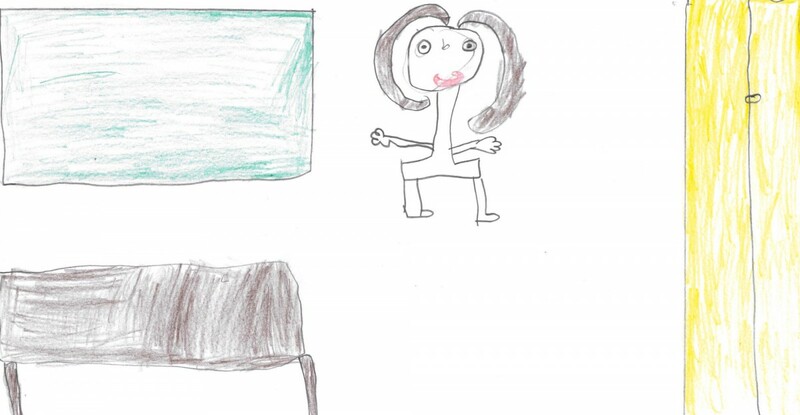 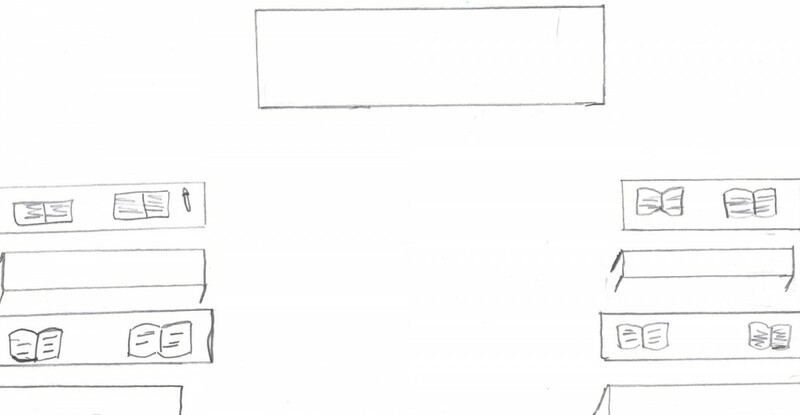 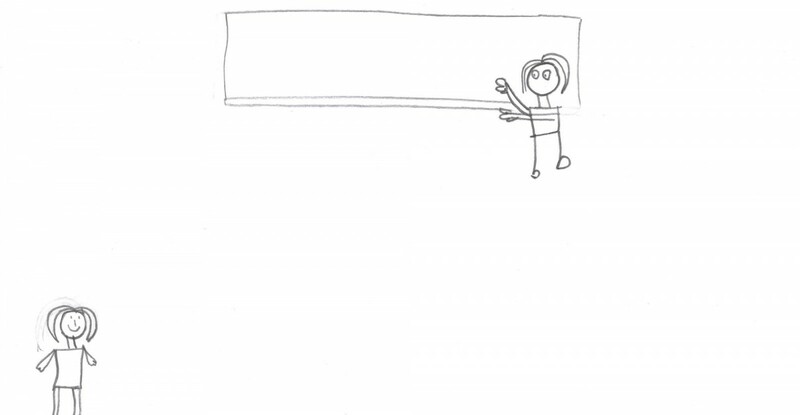 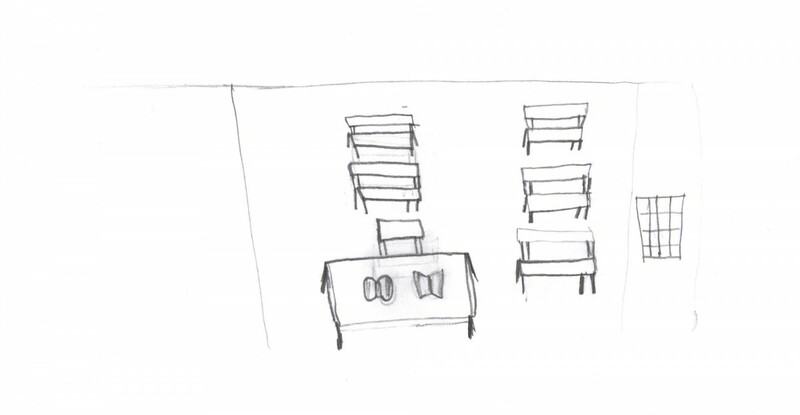 Each picture is characterized by the student’s feelings – how is the classroom perceived? 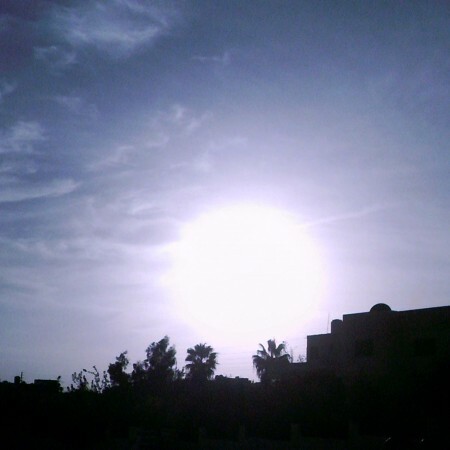 What is the atmosphere? 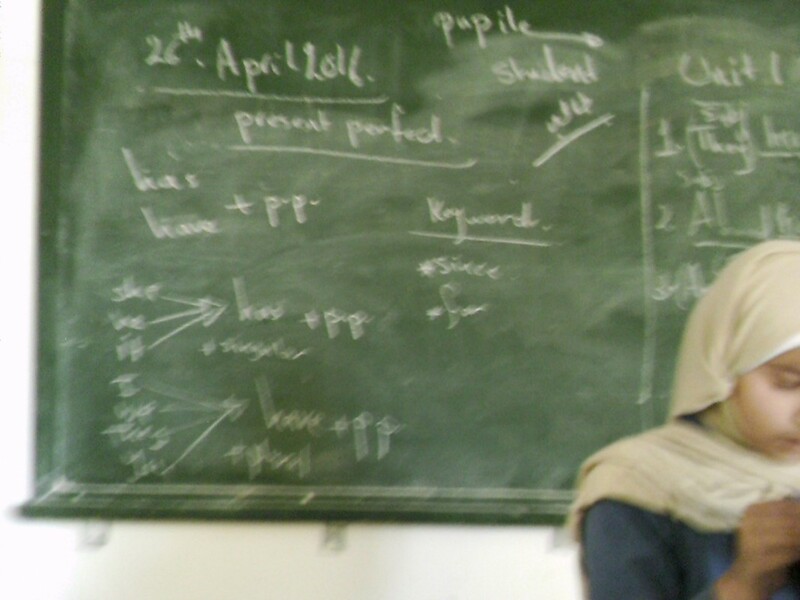 What kind of relationship do they have with their teachers? 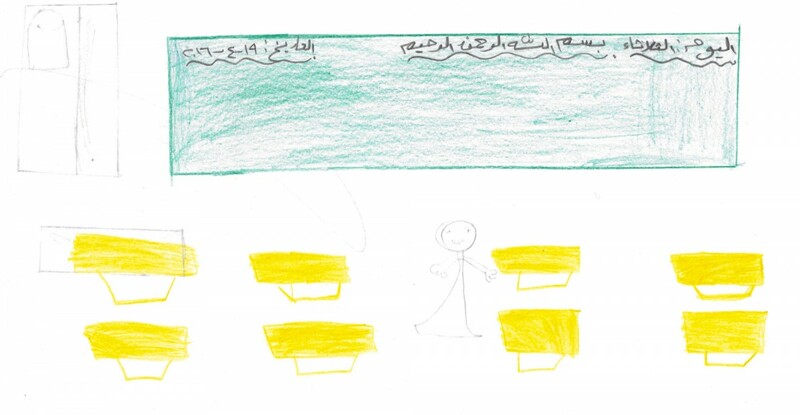 Use the filter option to compare the morning and afternoon shifts – see the difference between the drawings of Jordanian and Syrian students by examining various parameters such as the variety of colour, the number of students drawn, and the student-teacher size proportions.188 students were asked to draw their classroom. 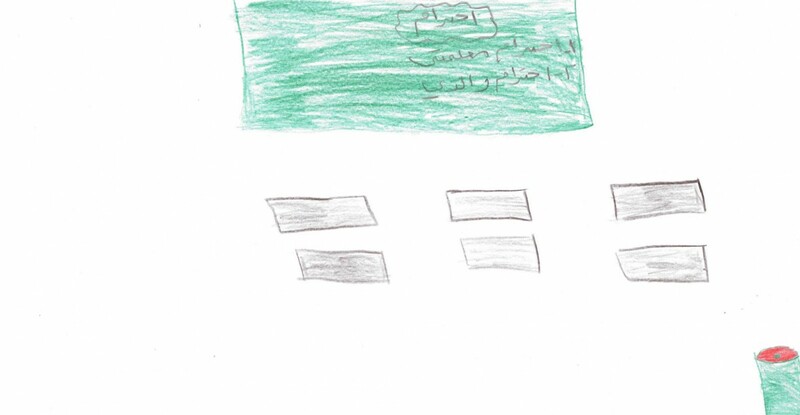 Each student was provided with five colors and one pen. 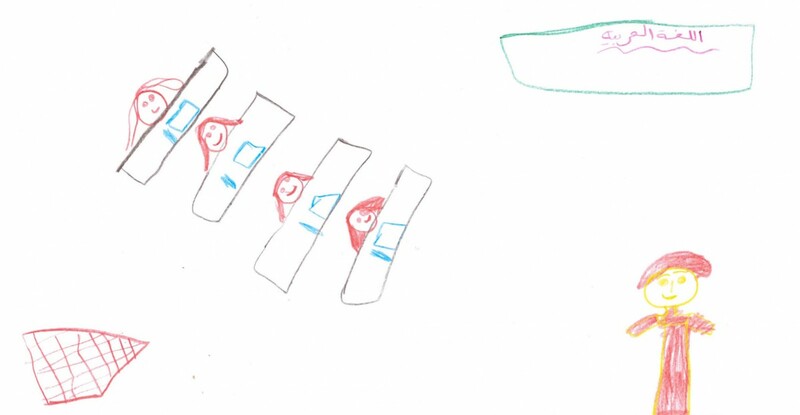 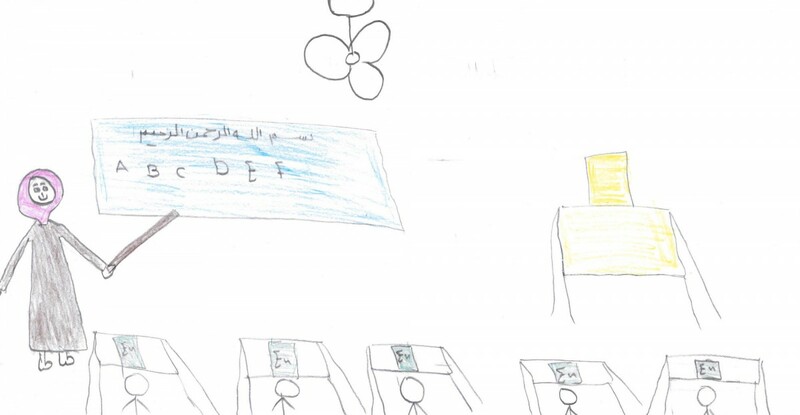 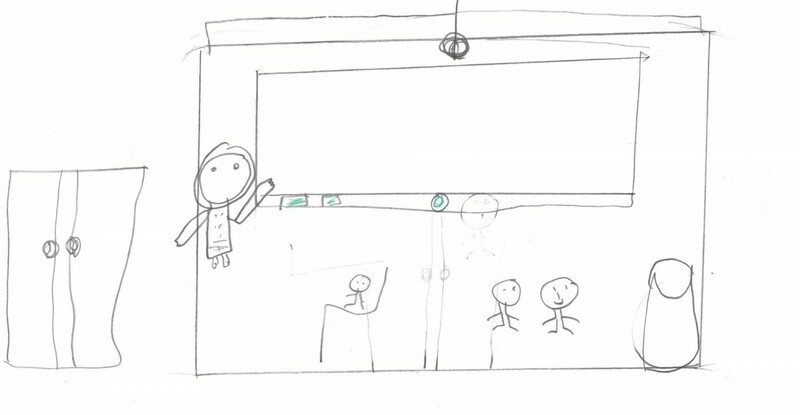 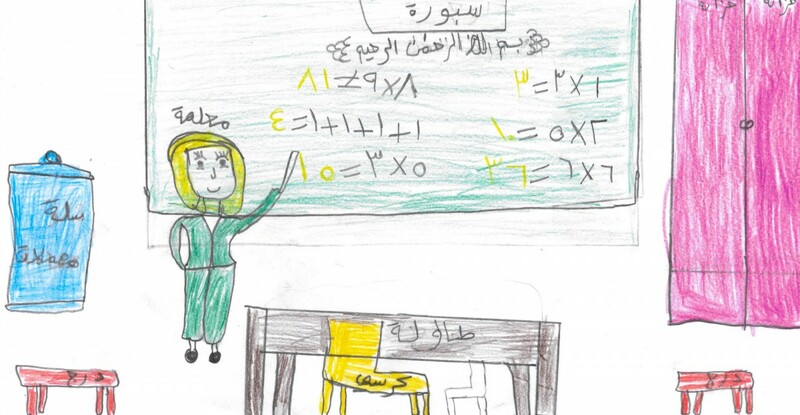 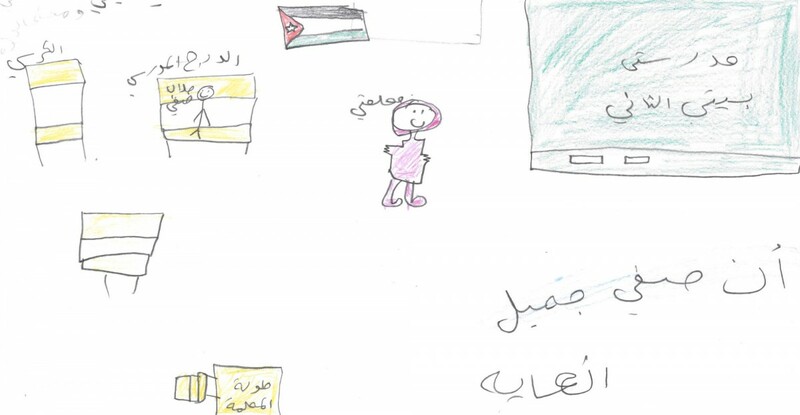 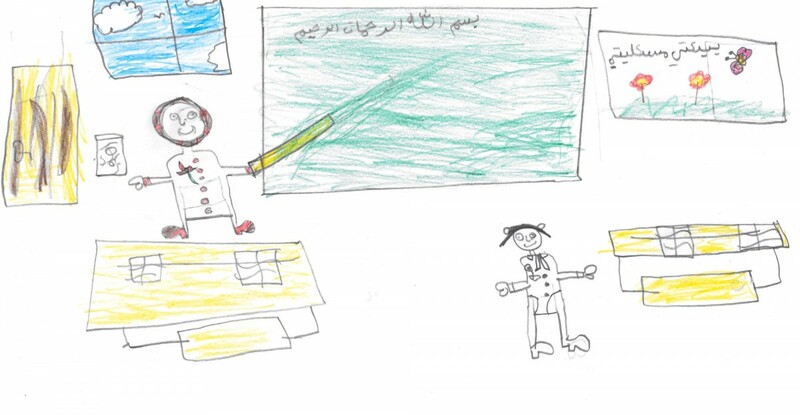 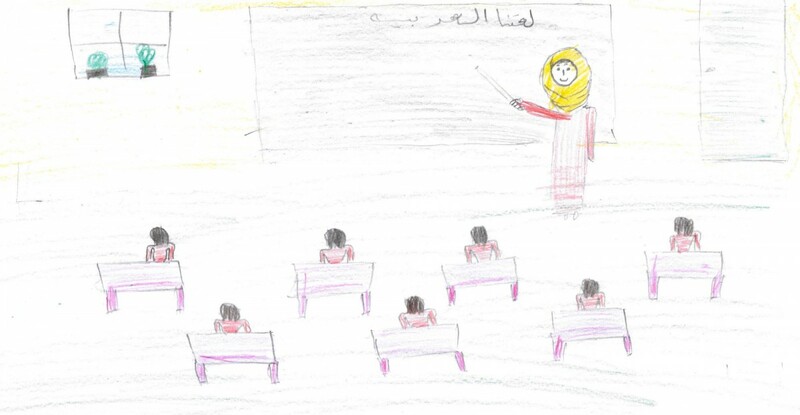 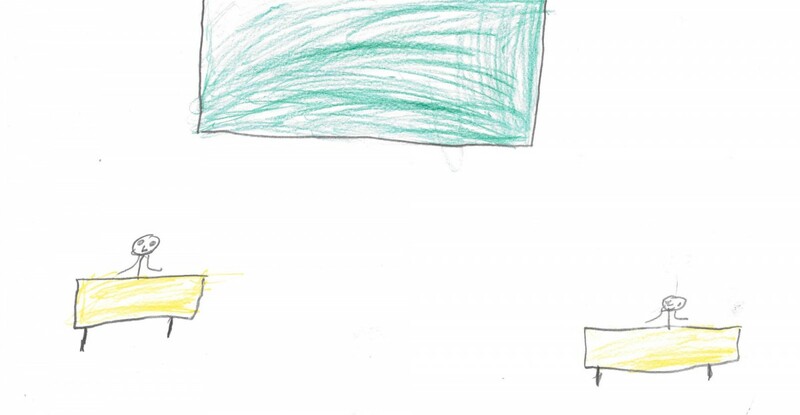 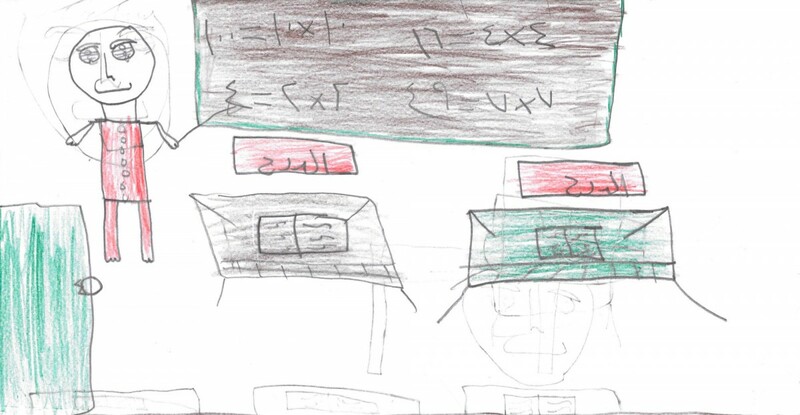 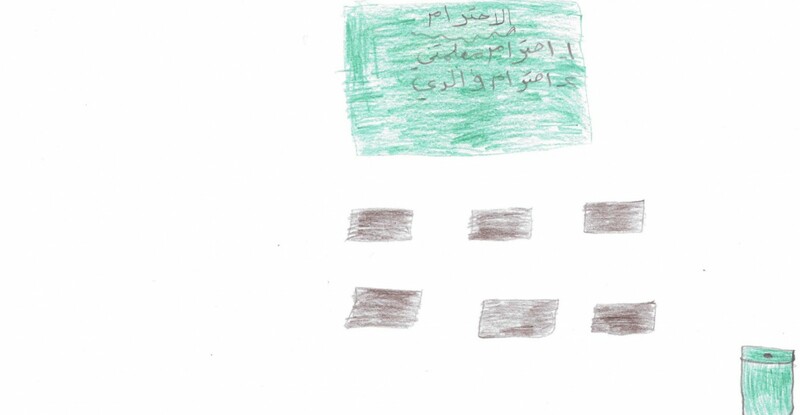 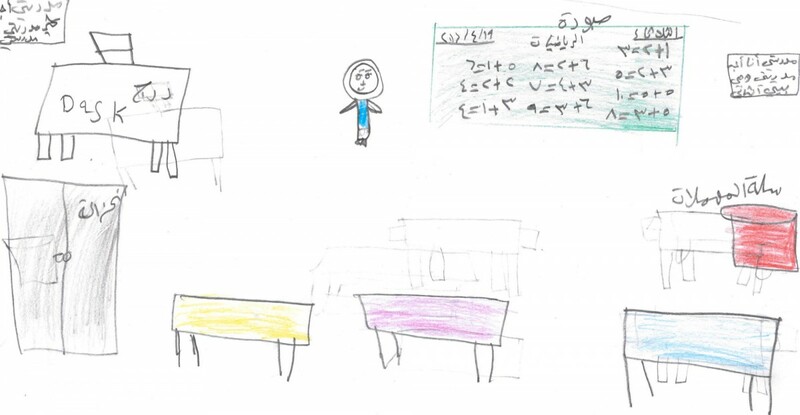 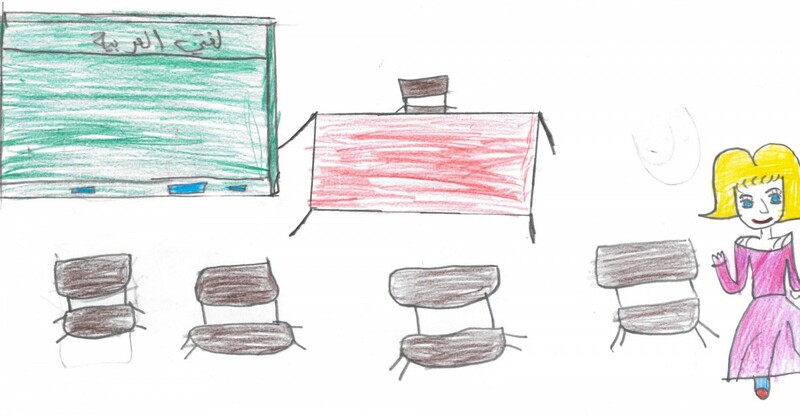 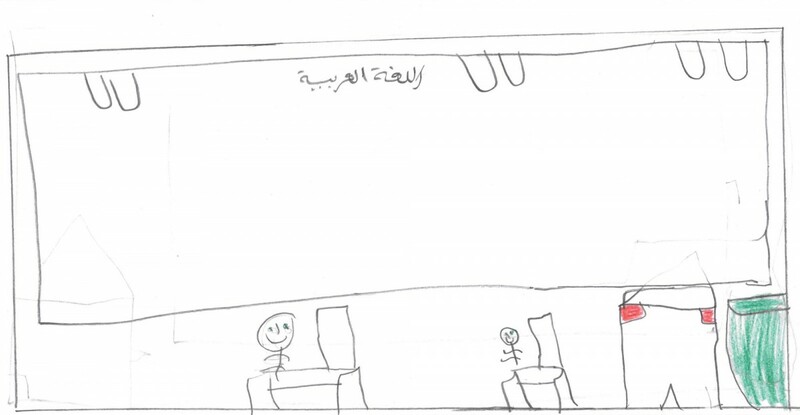 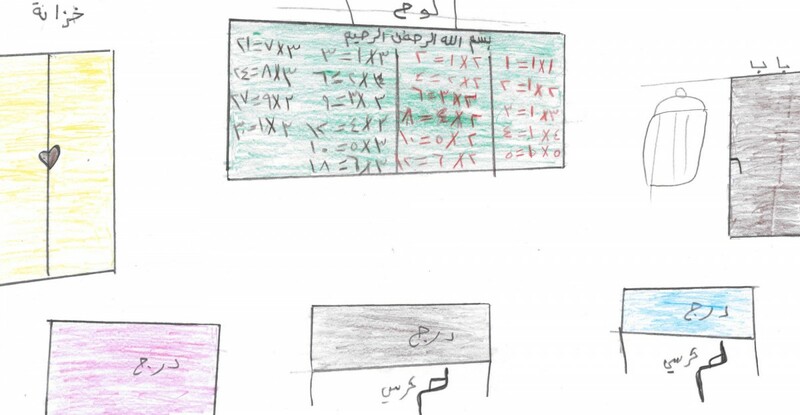 It becomes clear that Jordanian children use significantly more colors than Syrians, when drawing their classroom. 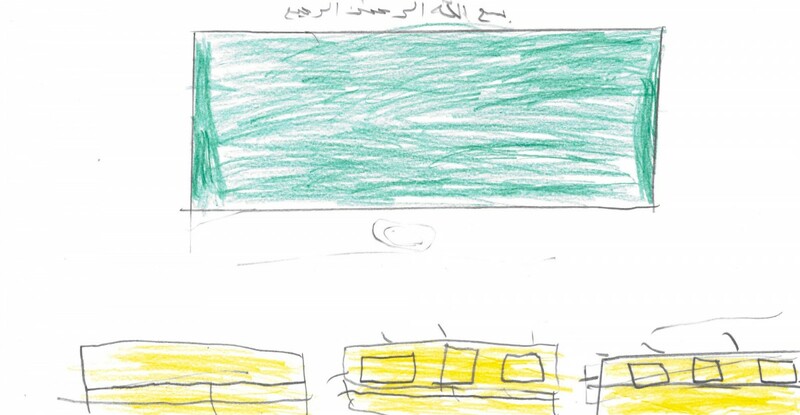 They also paint in a significantly larger portion of the sheet than their Syrian schoolmates. 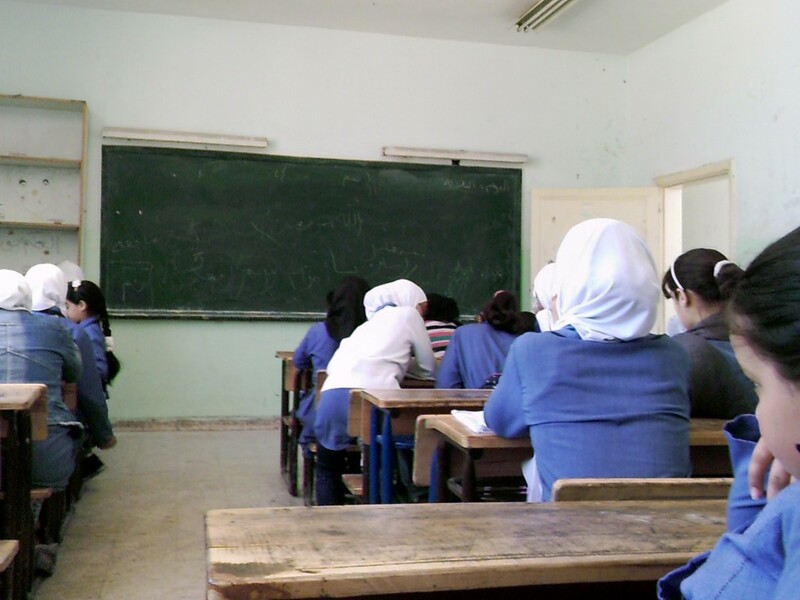 This continues with the number of teachers and students in the picture. 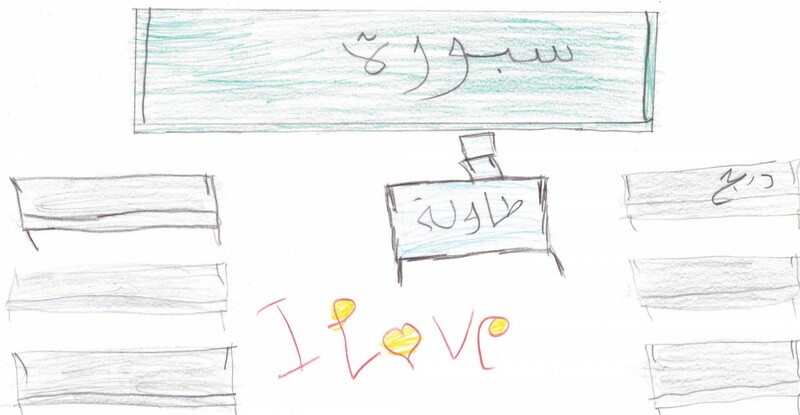 Discover the students’ drawings and feelings! 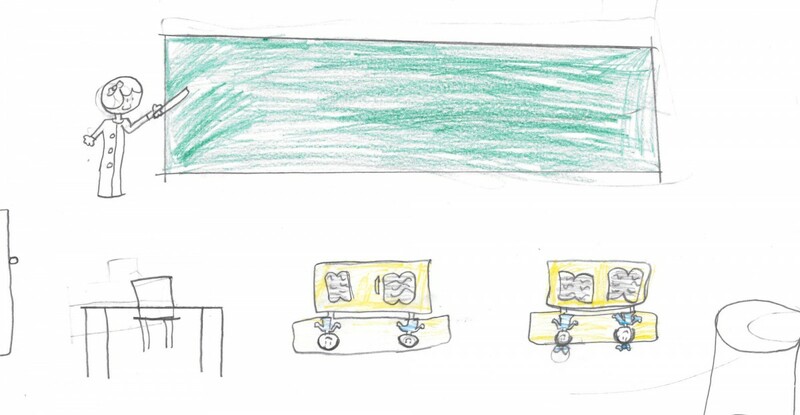 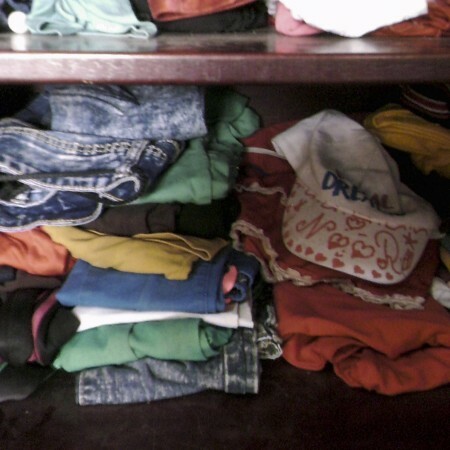 The double-shift system characterizes the students’ daily routine. 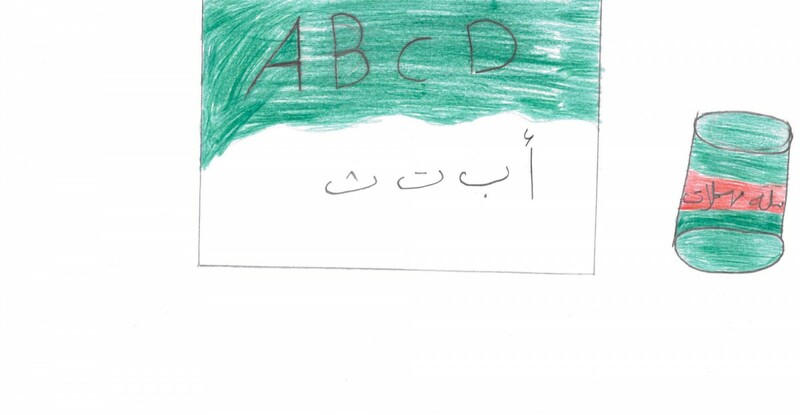 Especially the Syrians’ one, as they go to school in the afternoon. 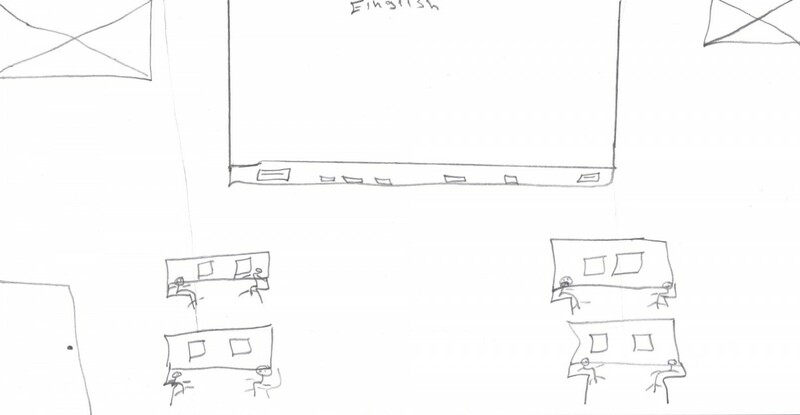 So how do the students spend their day? 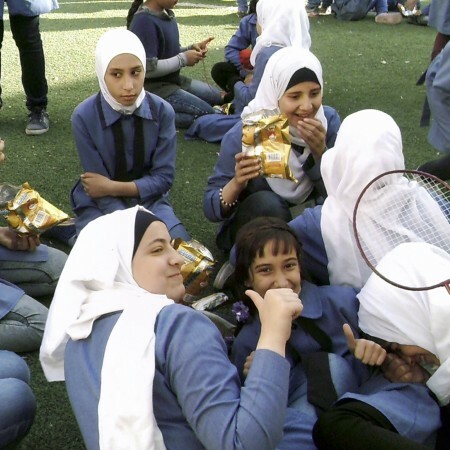 Which daily activities do they like the most? 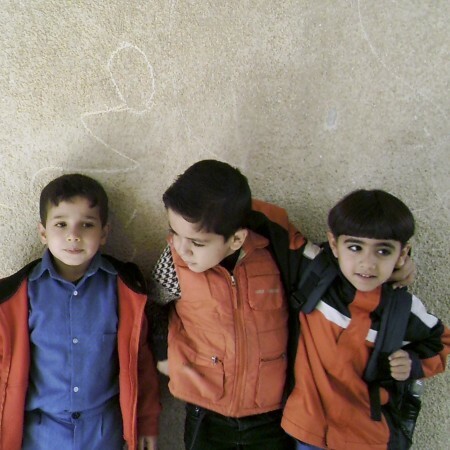 How do they get to school? 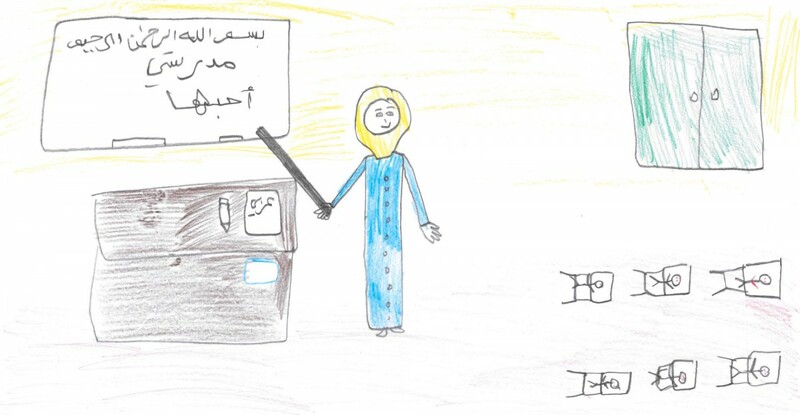 This interactive graphic is based on the results of a participative workshop hold with students from the Al-Arqam school to examine their daily routine. 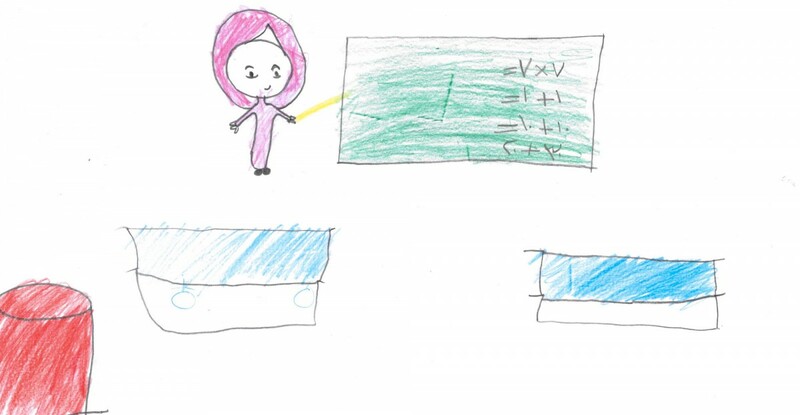 Three colors enable the children to rate their daily activities – whether an activity is a lot of fun, some fun or no fun at all. 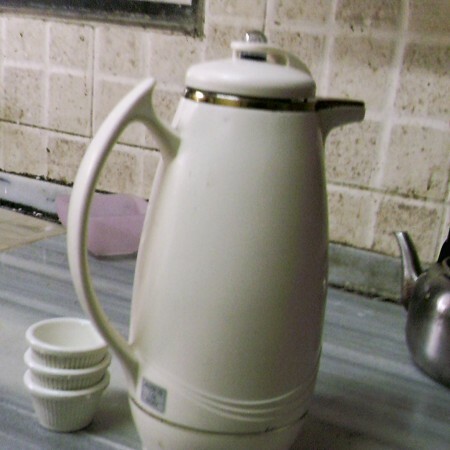 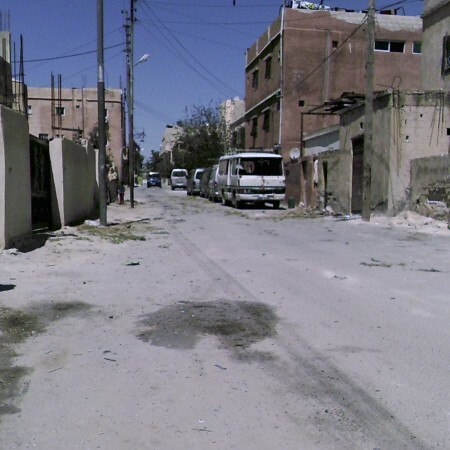 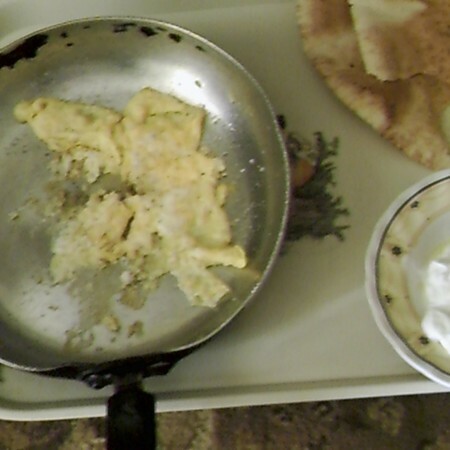 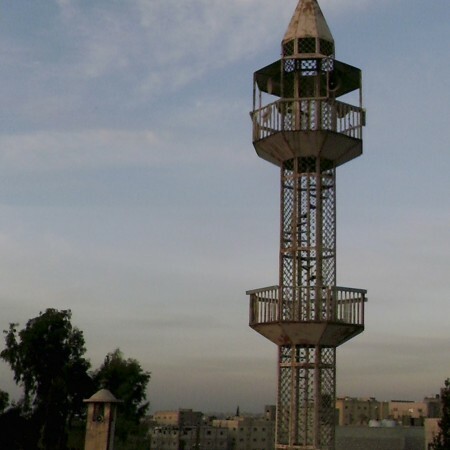 Discover the difference between Syrians’ and Jordanians’ daily routine. 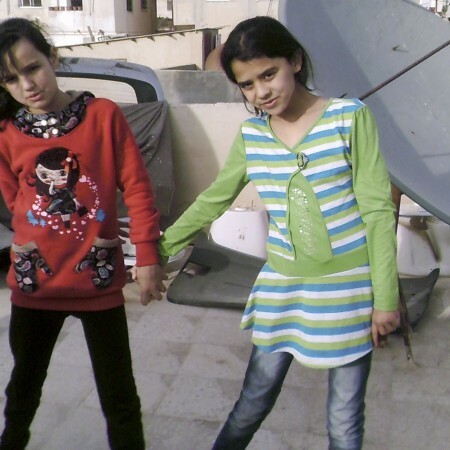 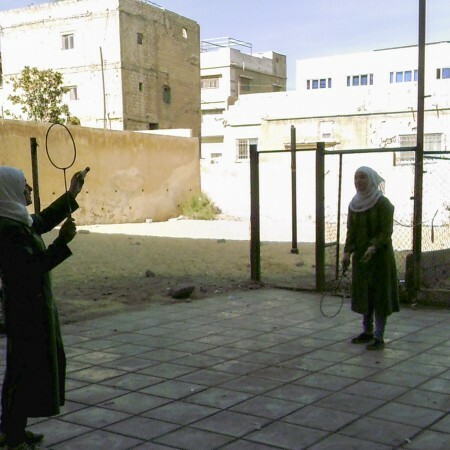 What do the Syrian 7th graders do, while the Jordanian 6th graders are in school? 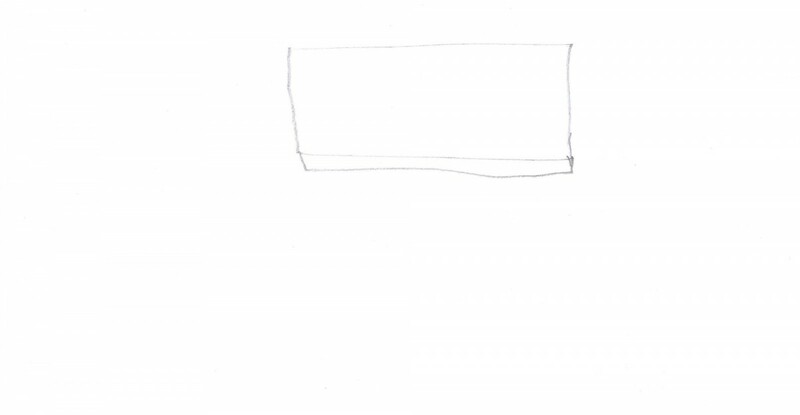 Are there common features? 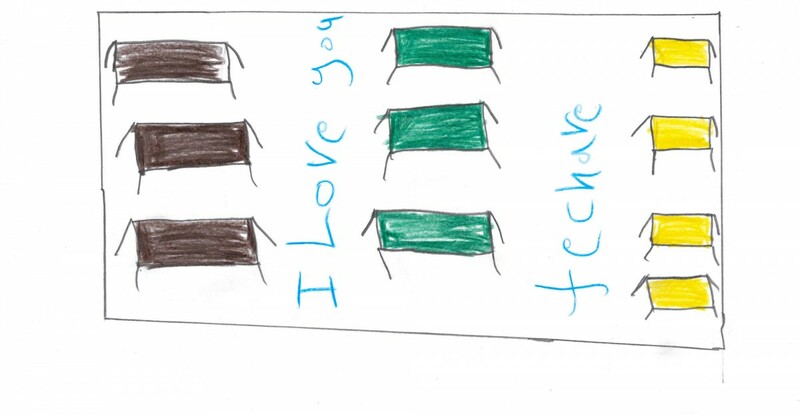 Choose the activity, student or color to display different daily routine! 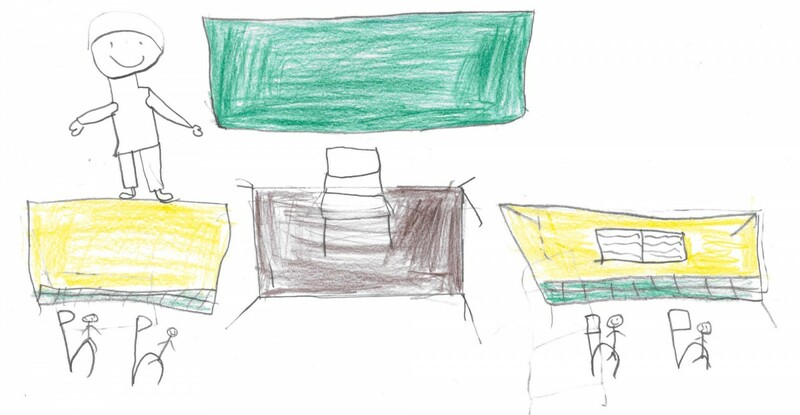 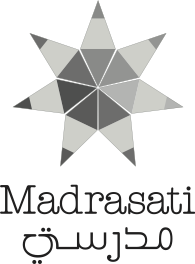 Discover the students daily routines and explore their activities. 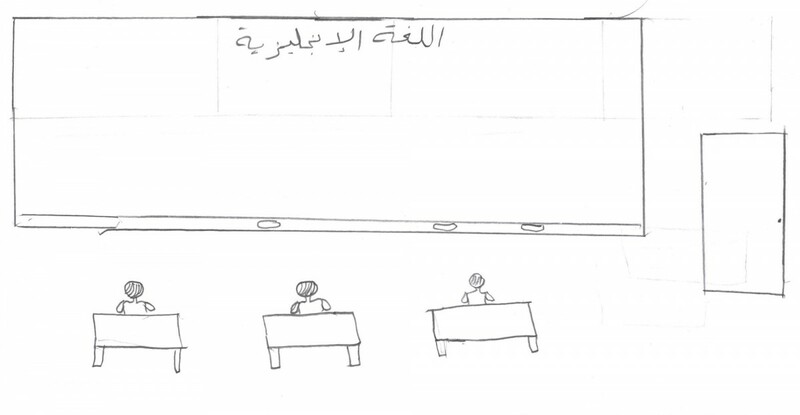 See the difference between Jordanian and Syrian students. 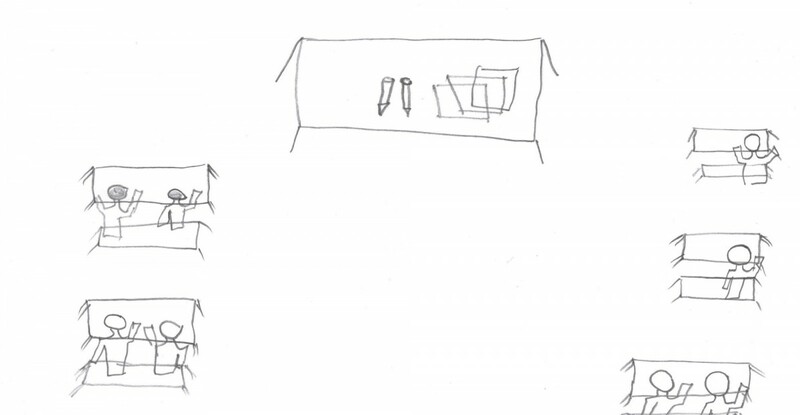 Analyse how they rate their activities. Get a personal and visual insight into the students’ lives by watching their photos! 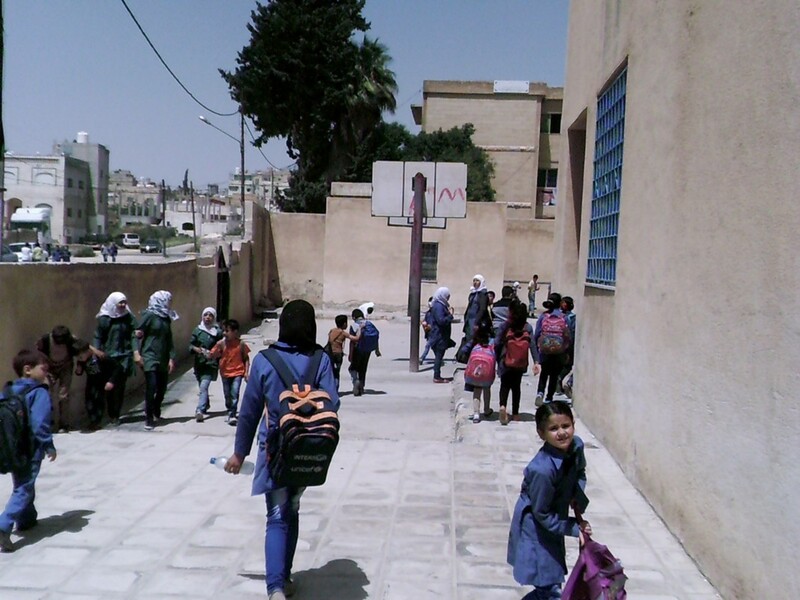 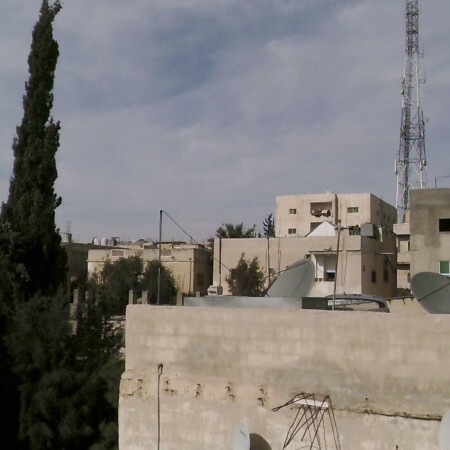 See where the Jordanian and Syrian students live, meet their friends and families and find out about their hobbies. 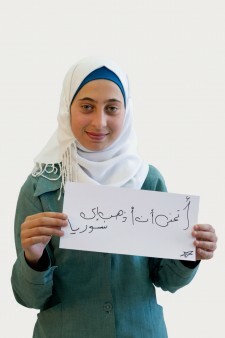 Hopes and dreams often reflect circumstance and values. 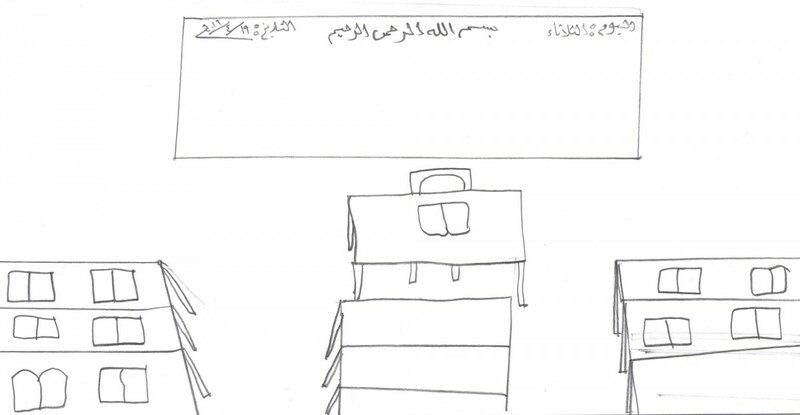 This is not different for the parents and students at Al-Arqam. 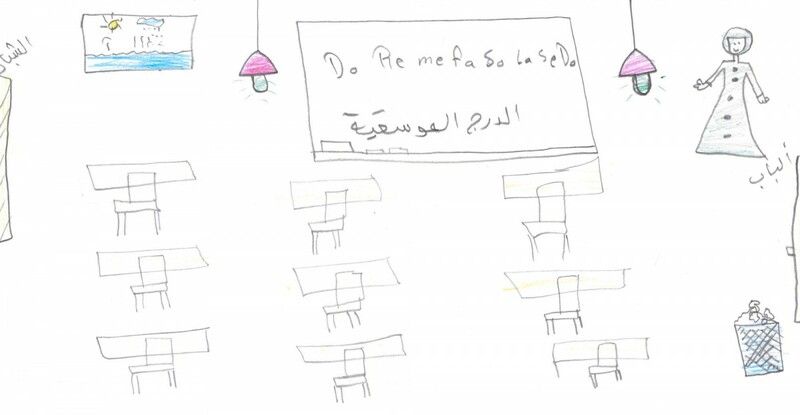 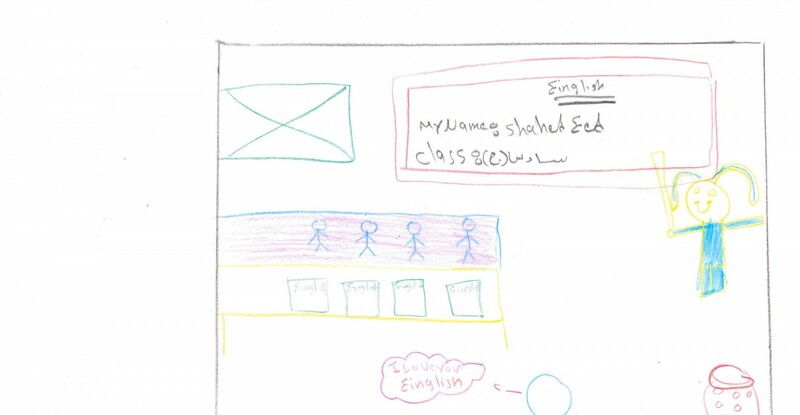 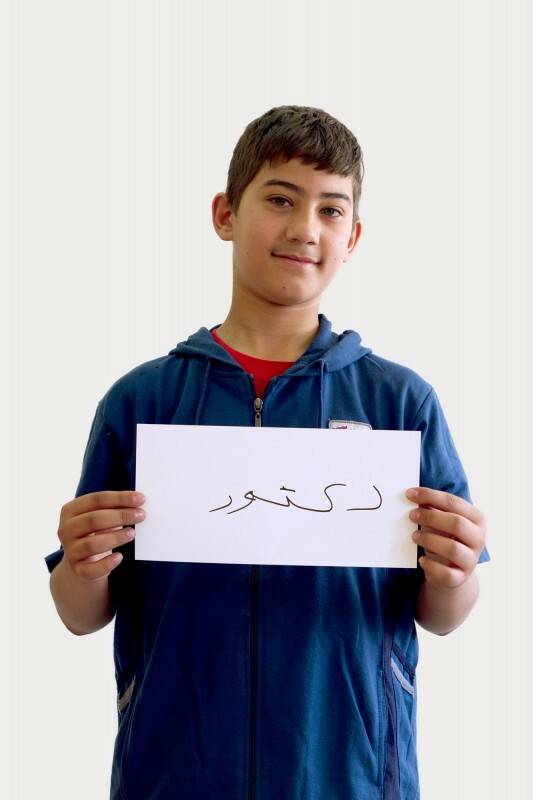 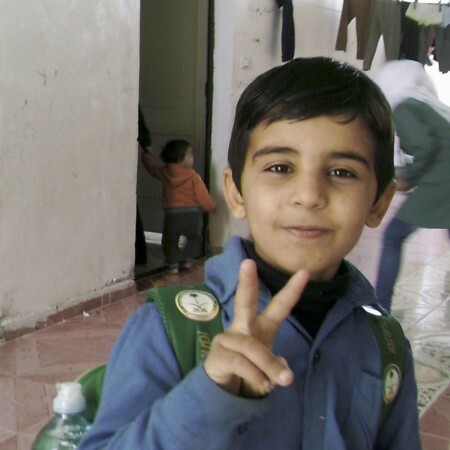 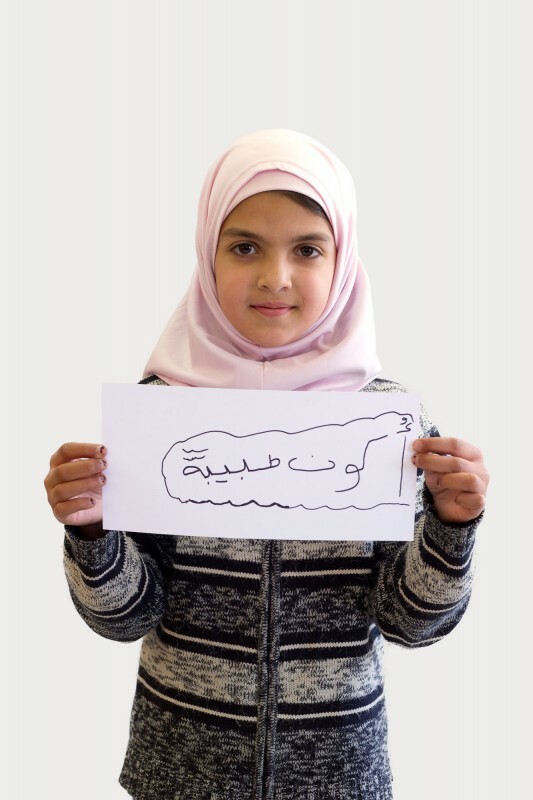 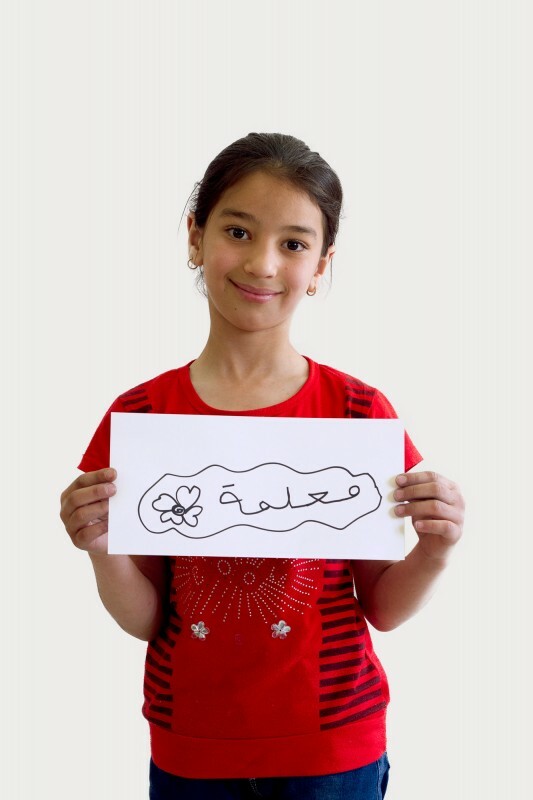 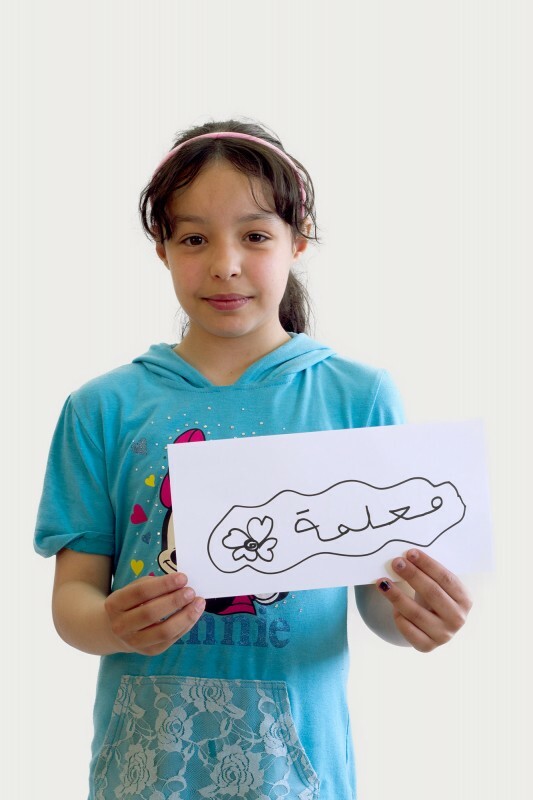 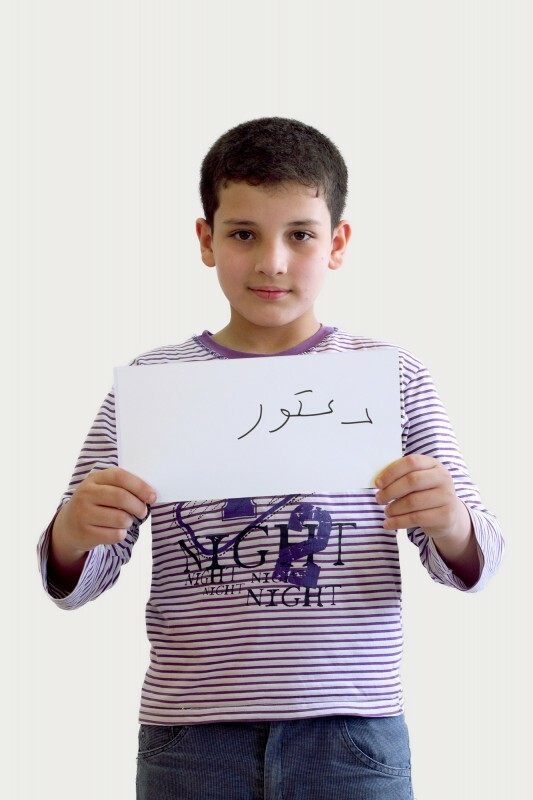 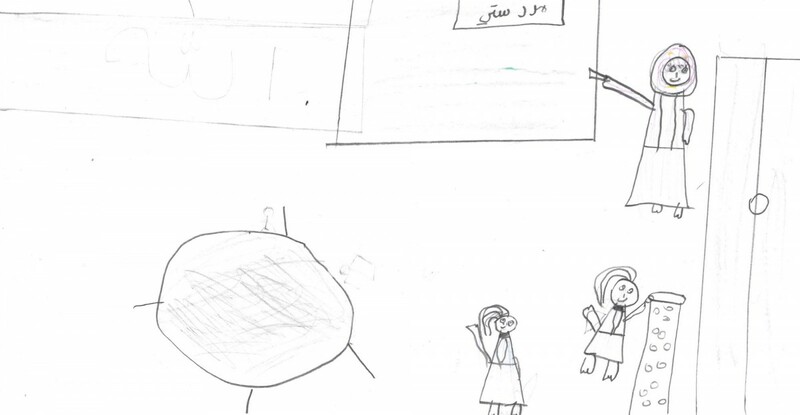 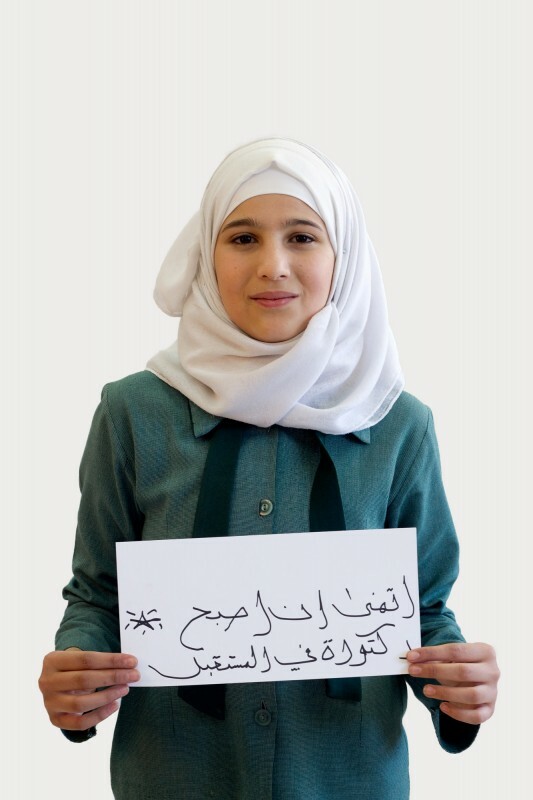 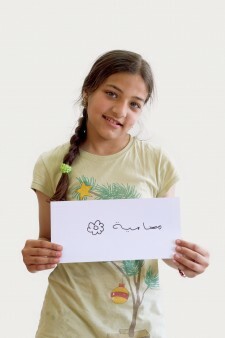 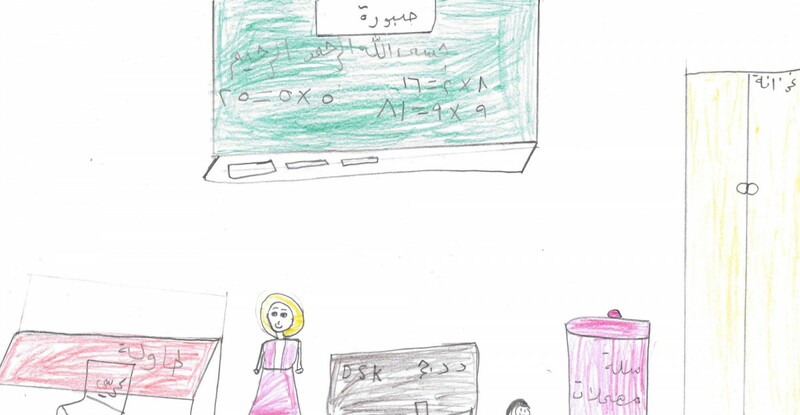 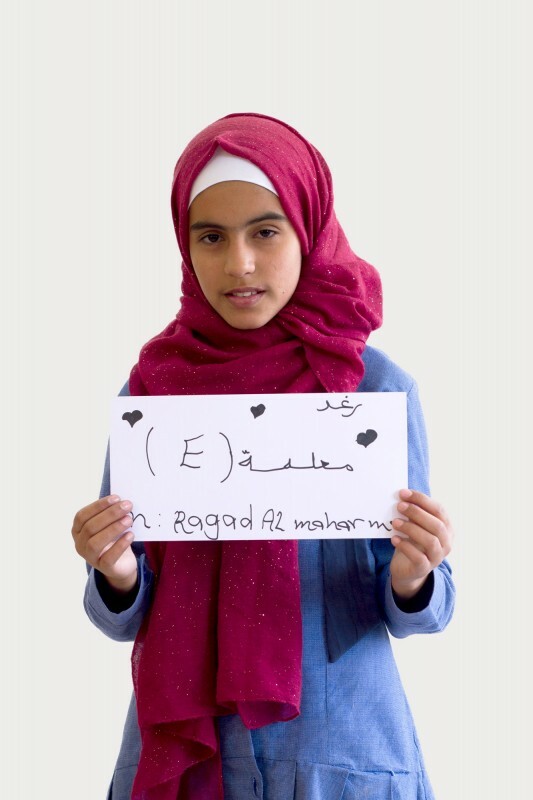 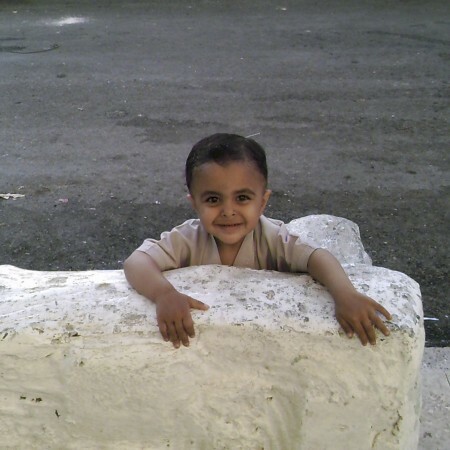 For many Syrian students the only wish is to return to their home country. 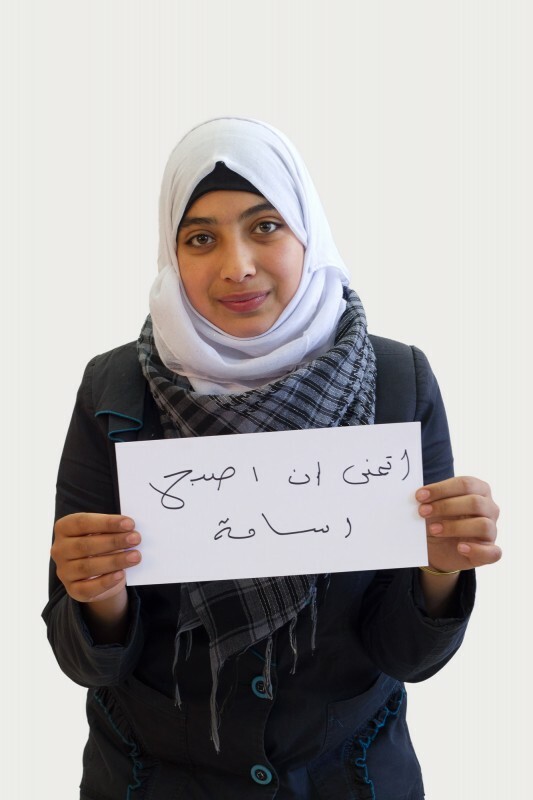 Meanwhile Jordanian students wish to get a good job. 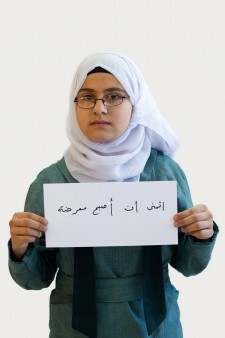 Material desires are not mentioned. Education is the key to achieving peace and prosperity in a region characterized by instability and crises. 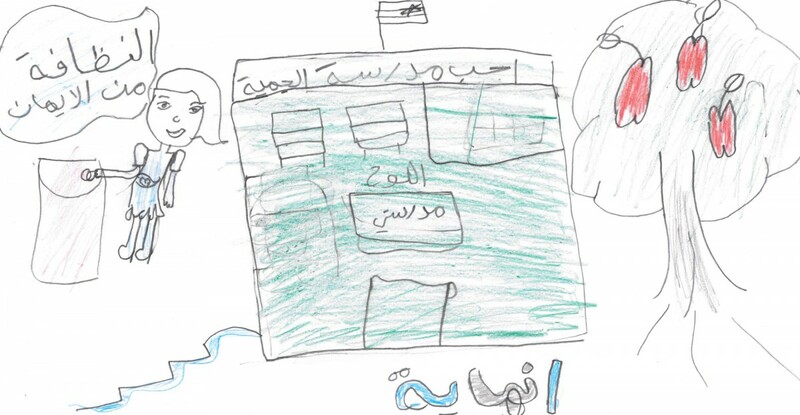 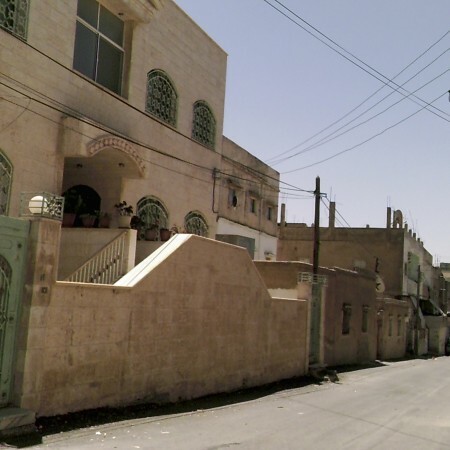 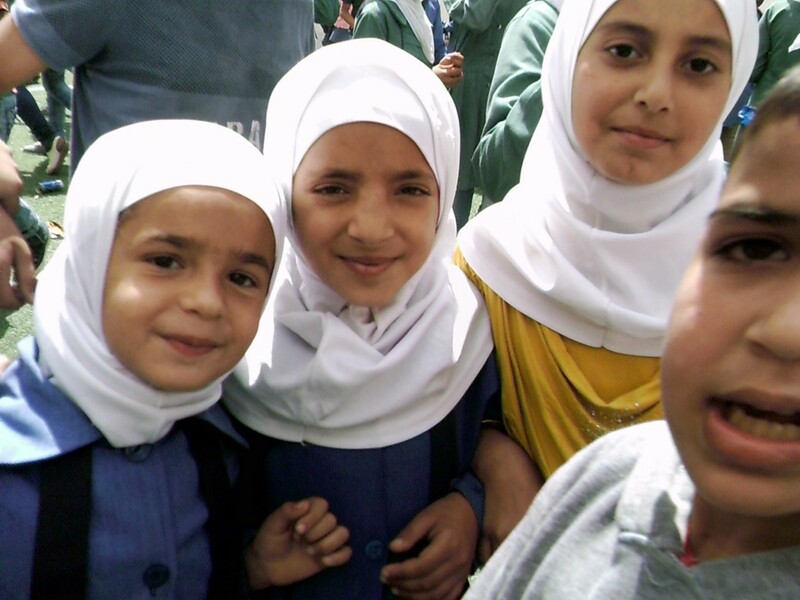 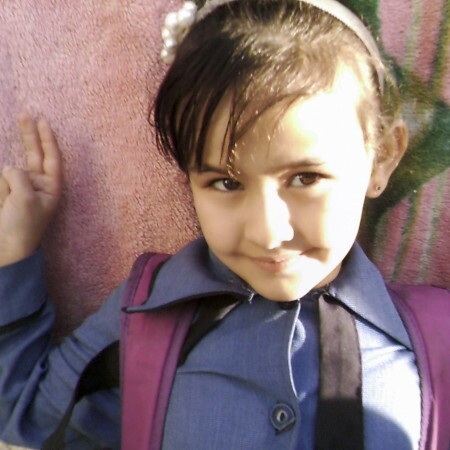 The Kingdom of Jordan is going to great length to provide schooling to as many children as possible. 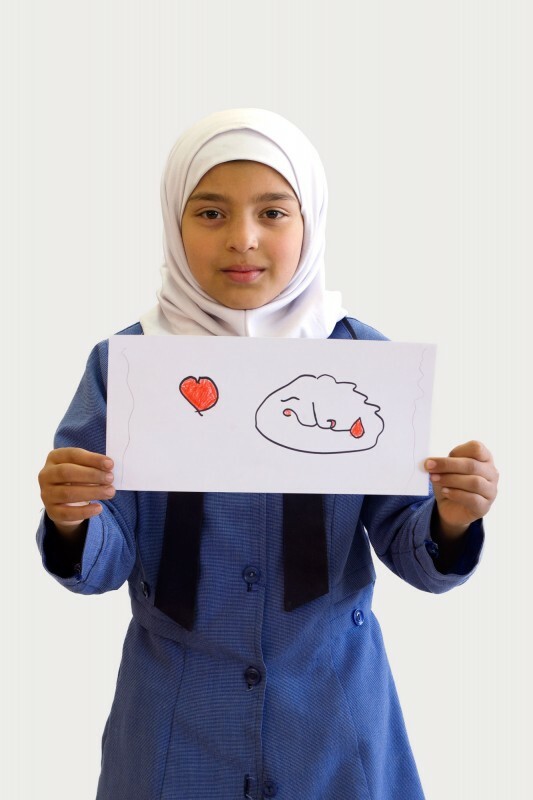 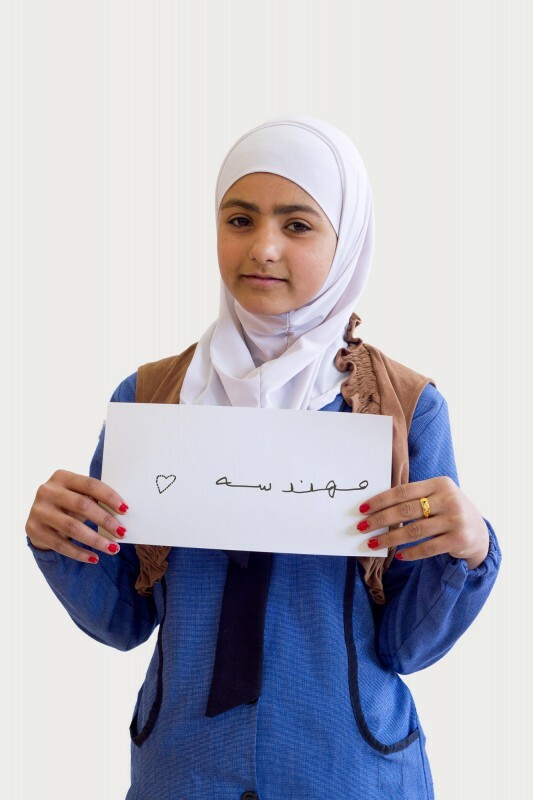 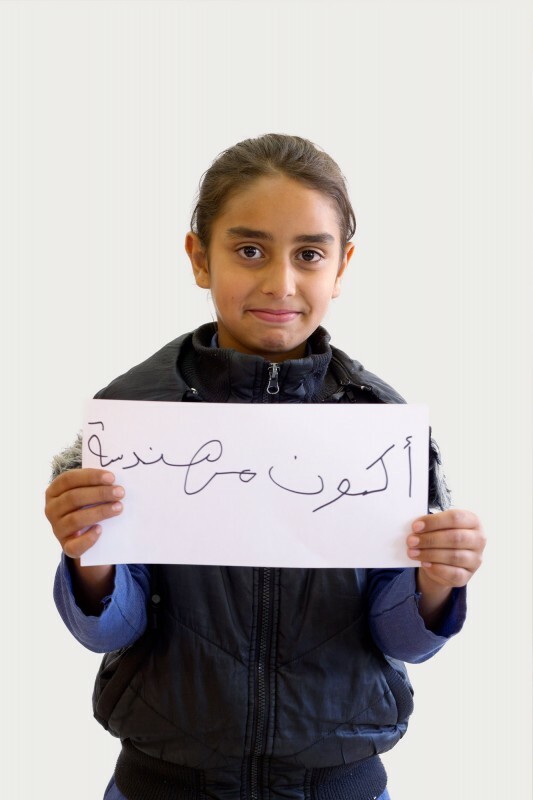 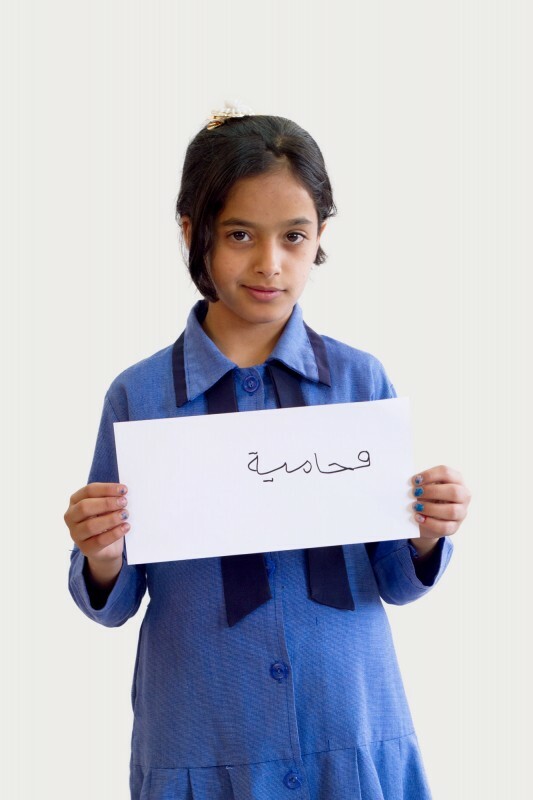 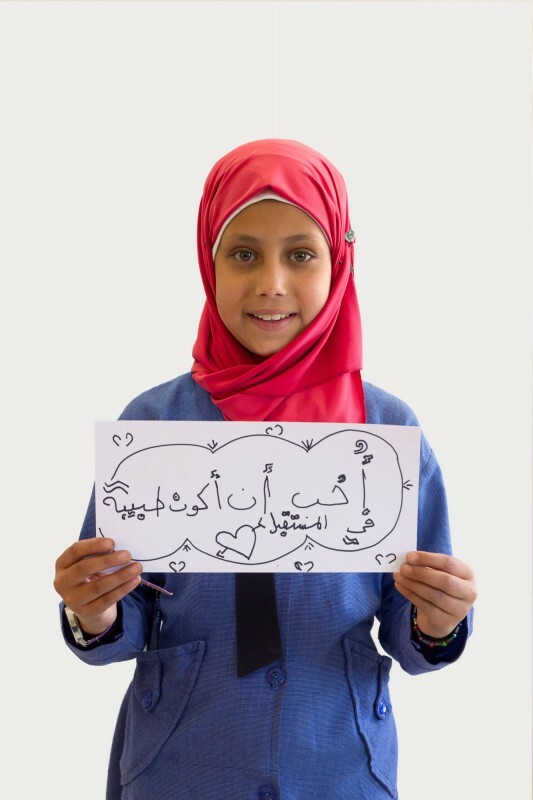 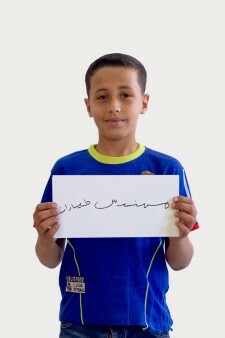 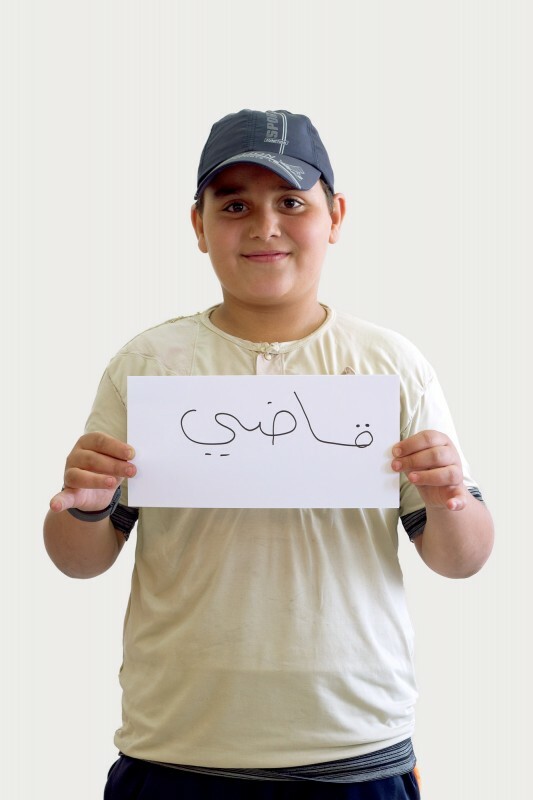 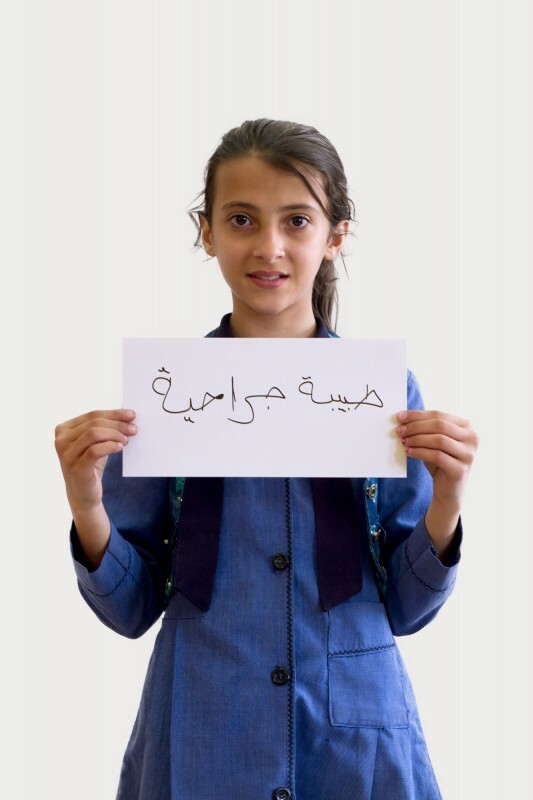 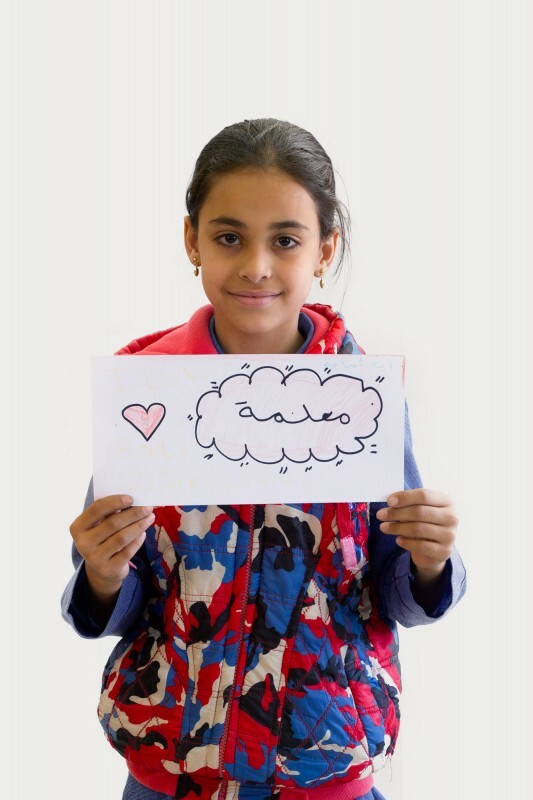 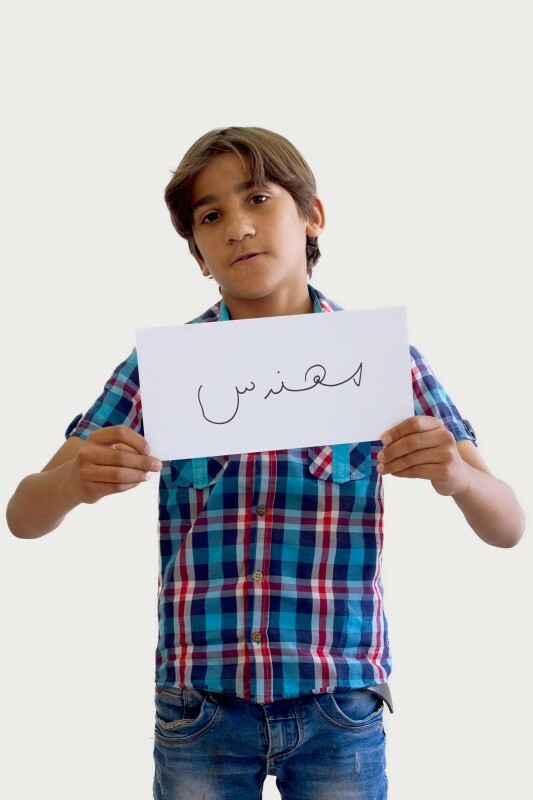 “Double Shift” wants to raise awareness of Jordan’s efforts and tell the stories of all children, Syrians and Jordanians alike, going to school together. 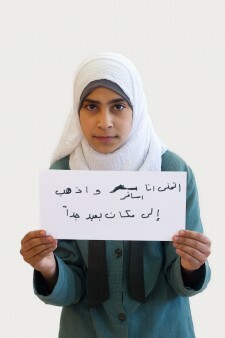 Please share this website and let the world know about this Double Shift. 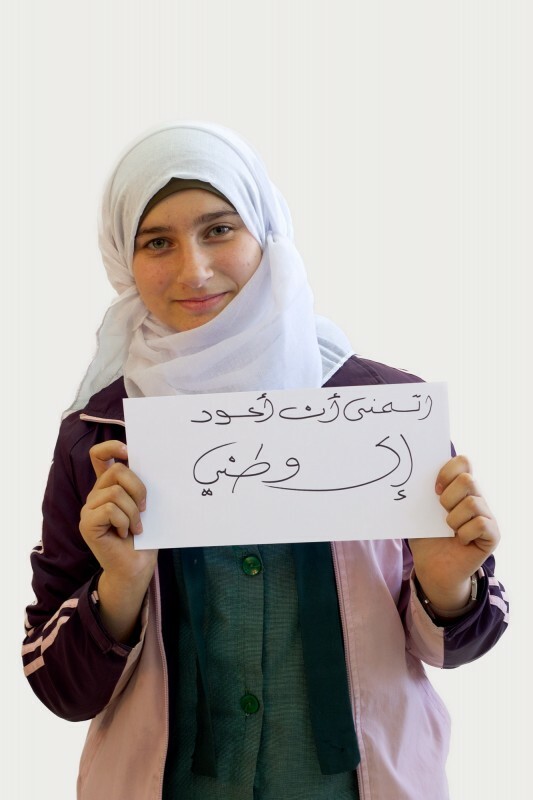 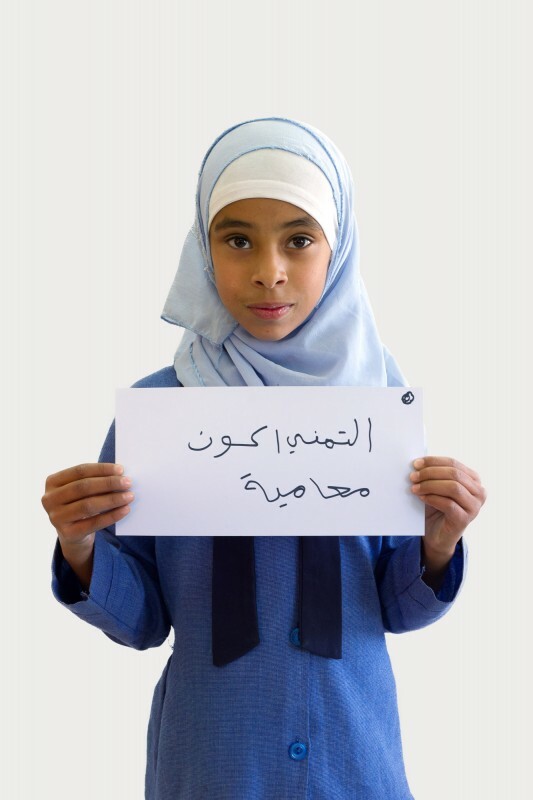 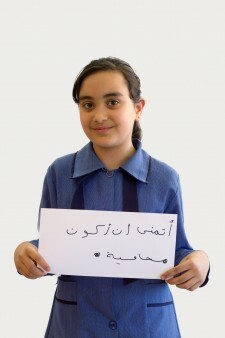 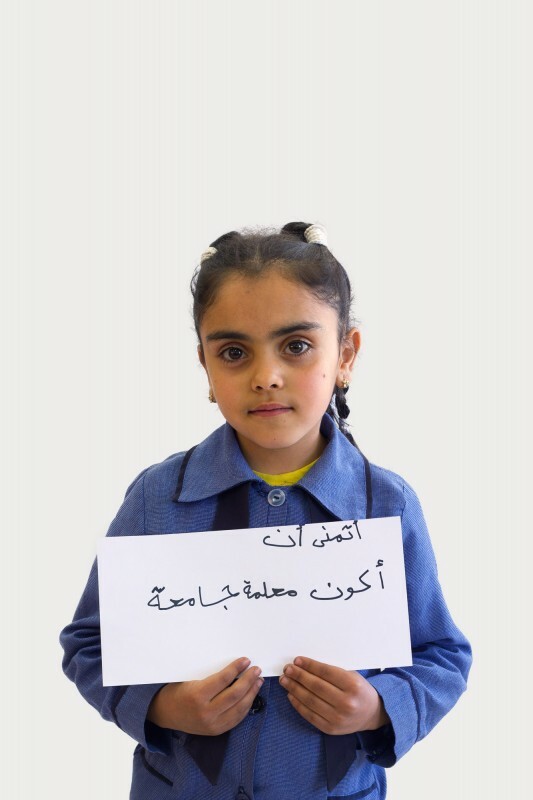 Share the students’ stories and pictures and show that you are supporting education for all. 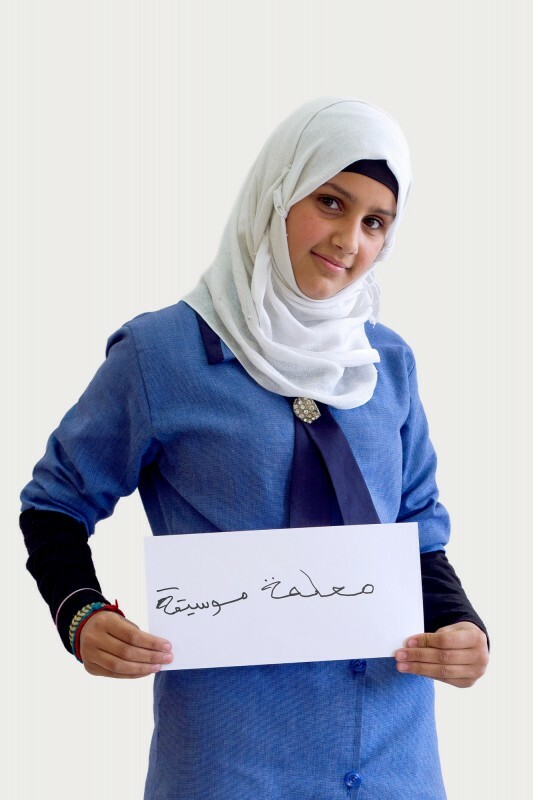 For further information and up to date data please visit the UNHCR page or have a look at further resources.